The Massey School is unique because we consider both faculty members’ academic pedigree and professional experience. Because the majority of our students are working professionals, it is vital that our faculty members have extensive industry experience to share with students. Our faculty have prepared academically at top Ph.D. programs, in addition to the professional backgrounds they bring to their classrooms. Market Research Analyst, Research America, Inc.
Lambert, R. P., Alexander, J. F., & Schenkel, M. (2015). Belle Meade Plantation: Social Entrepreneurship and Sustainability at the First Non-profit Winery in the U.S. Journal of Business & Entrepreneurship. Lambert, R, Schenkel, M., Alexander, J. F., and Cornwall, J. (2011). Evans Glass Company: You Make the Coffee, We’ll Bring the Cup, Journal of Business and Entrepreneurship, 23 (1), 122 - 140..
Reardon, J., Payan, J., Miller, C., and Alexander, J.F. (2008).Optimal Class Length in Marketing Undergraduate Classes: An Examination of Preference, Instructor Evaluations, and Student Performance, Journal of Marketing Education, 30 (1), 12-20. Alexander, J.F., Jares, T.E., and Latham, J. (2007). Performance Excellence in Higher Education: One Business School's Journey, Palmetto Review, 10, 34-45. Alexander, J.F. et. al. (2007). Contributor to Transformation to Performance Excellence: Baldrige Education Leaders Speak Out, (Minneapolis, Minn.: American Society for Quality). 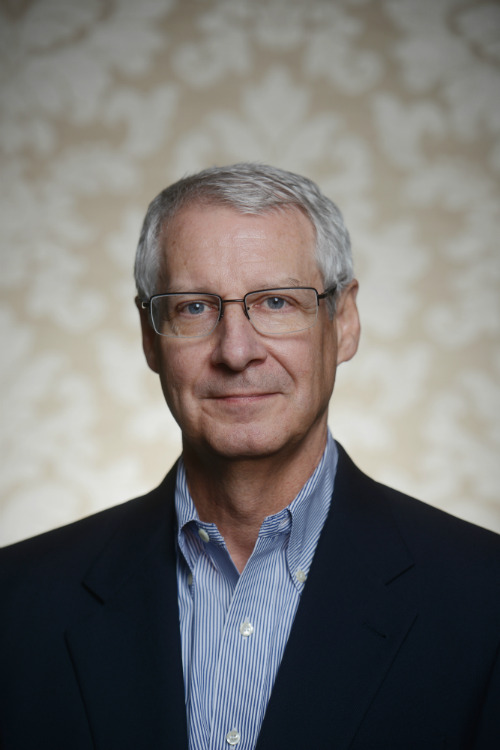 Dr. Joe Alexander provides leadership for The Jack C. Massey Graduate School of Business M.B.A. and Master of Accountancy programs and teaches graduate courses in marketing management and performance excellence. Alexander joined The Massey School in 2007 after serving six years as dean of the Monfort College of Business at the University of Northern Colorado (UNC). Under his leadership, Monfort became the first business school in U.S. history to receive the Malcolm Baldrige National Quality Award from the President of the United States (2004). Monfort was also recognized as a Program of Excellence by the Colorado Commission on Higher Education. While at UNC, Joe received the university's top award for leadership in academic excellence and numerous teaching awards by university student groups, including the Pan-Hellenic Council, Mortar Board, Athletics Department and Marketing Department. Since his coming to Belmont as associate dean in 2007, the Massey Graduate School of Business has built a national reputation for its high-quality graduate business programs, including repeated national rankings in Bloomberg BusinessWeek, U.S. News & World Report, and The Princeton Review. In addition, the Masters of Accountancy program has become the largest private university MACC program in Tennessee. Alexander earned his doctorate in business administration and M.B.A. from Memphis State University and a B.B.A. in marketing from Harding University (Arkansas). Prior to beginning his career in academia, his professional experiences were in industrial sales and market research and analysis. He has consulted for a variety of business, government, and educational clients, ranging from State Farm Insurance to the Colorado Legislature. 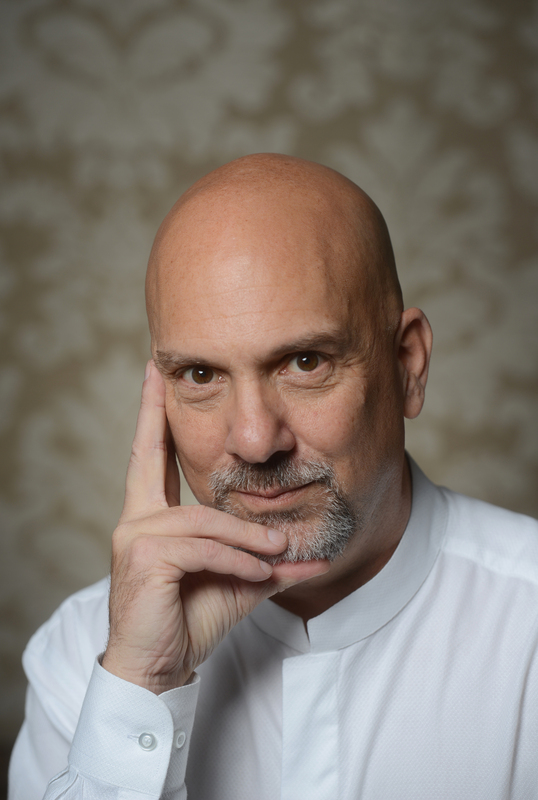 Since 2005, he has addressed almost 100 audiences across the United States and abroad on the use of performance excellence techniques for enhancing organizational effectiveness. Joe's research has been published in numerous academic journals, including the Journal of the Academy of Marketing Science, Journal of Personal Selling & Sales Management, and Journal of Marketing Education. His other intellectual contributions have included presentations to audiences such as the American Marketing Association and Marketing Educators Association. He has written books/chapters published by the American Society for Quality, the Association for Institutional Research, and South-Western Publishing Company. 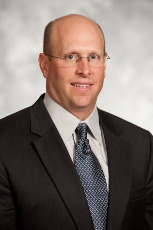 Alexander currently serves on the panel of judges for the Tennessee Center for Performance Excellence (board chair from 2011-12), the TriStar Centennial Medical Center, and the Middle Tennessee Better Business Bureau, in addition to serving as a member of the board of trustees for Rochester College (Michigan). He also completed a term as board chair of the Malcolm Baldrige National Quality Award Foundation (2009-10). Additional service to his community has included work with the United Way, Junior Achievement, Rotary Club, and various church activities, including past service as an elder at Journey Christian Church (Colorado). Dr. Alexander has the opportunity to work with graduate students personally as an advisor to the Massey Graduate Council, and he also serves as the liaison between The Massey School and its Alumni Association. His philosophy of service is …to serve where needed and to do so in a manner that is above and beyond stakeholder expectations. Joe and his wife, Tamera, have been married for 30 years. With both of their children now in their 20s, the couple lives in Brentwood. Alleyne, B. J. (in press, 2014). What Happened to the Tax Exemption? The Case of the Rice Tabernacle Church. Journal of International Academy for Case Studies. Elson, R. J. & Alleyne, B. J. (2014). The Growth and Decline of the New Revival Pentecostal Church. Journal of International Academy for Case Studies. Alleyne, B. J. (2013). The Impact of Federal Regulations on Identifying, Preventing, and Eliminating Corporate Fraud. Journal of Legal, Ethical and Regulatory Issues. Dr. Alleyne taught as adjunct faculty for the Undergraduate School of Business Administration beginning in 2003. She earned her B.B.A. with an emphasis in Information Systems and an M.B.A. in Accounting at Long Island University in New York. Beverley was awarded her D.B.A. in 2010 and is now a tenure track member of the faculty. Her business experience includes serving as an Internal Control Manager, Diversity Officer, and Financial Analysis Manager for Prudential Financial in New Jersey and positions ranging from Data Analyst to Financial Auditor for Equitable Life Assurance (now AXA Financial) in New York. State Tax Notes: “A Proposal to Resolve the Healthcare Property Tax Exemption Debate”, April 24, 2017 edition. Kelvin Ault joined Belmont’s staff in 2017 after spending over 25 years in public accounting and the healthcare industry. His most recent position was serving as a Investor-Owned Health Services Tax Leader at PricewaterhouseCoopers. Before joining PricewaterhouseCoopers in 2013, Kelvin was the Senior Vice President of Tax for Vanguard Health Systems which was a publicly traded hospital company with facilities located in various major metropolitan markets in the United States. Prior to joining Vanguard in May 2005 Kelvin was Vice President of Tax for LifePoint Hospitals which owned and operated 48 nonurban hospitals after consummation of its merger with Province Healthcare in April 2005. Prior to joining LifePoint Kelvin was Senior Tax Manager in the Nashville office of Ernst & Young LLP where he served mostly publicly and privately owned healthcare and real estate companies for twelve years before joining LifePoint in 2003. Kelvin has been and continues to be a member of several organizations including Leadership Health Care Board and the YMCA of Middle Tennessee Associates Board. Kelvin served on Belmont University’s Accounting and Information Management Advisory Board for approximately twenty years prior to joining the Belmont faculty. Kelvin also served on the board of the Nashville Zoo and Treasurer for several years prior to joining the YMCA board. In addition to his professional responsibilities, Kelvin is active with his family (wife Sheryl and 3 children, Ryan, Reagan and Rachel), in the Nashville community, and with his church where he serves as a student ministry LifeGroup leader at Brentwood Baptist Church. Balint, B., and Rau-Foster, M. (2014). Cybersnooping: I See What You Did There. Journal of Organizational Culture, Communications and Conflict, forthcoming. Balint, B. and Arnett, B. A. (2014). Information Technology Process Standardization at Cobb EMC: A Case Study. Business Studies Journal, forthcoming. Balint, B. (2011). Difficulties in Enterprise Systems Implementation: The Case of Millicent Homes. Journal of Information Technology Case and Applications Research, 13(3). Balint, B., and Rau-Foster, M. (2014). Cybersnooping: I See What You Did There. Allied Academies Summer International Conference, Nashville, TN. Ballint, B. (2012). Standardization Frameworks in Services Offshoring: The Relationship between Process Implementation Thoroughness, Task Complexity, and Performance Improvement. Hawaiian International Conference on System Sciences, Maui, HI. Balint, B. P. (2010). Difficulties in Enterprise Systems Implementation: The Case of Millicent Homes. Workshop on Enterprise Systems Research in MIS, St. Louis, Missouri. Balint, B. P. (2009). Process Standardization in Services Outsourcing: From Implementation to Performance Improvement. INFORMS, San Diego, California. Prior to his doctoral studies, Dr. Balint worked for more than 10 years as a consultant to companies implementing enterprise software systems such as SAP. His duties included custom development as well as the management of development and technical resources. His client list included IBM, Lockheed Martin, Coca-Cola Enterprises, UCB Chemical, Getrag Automotive, and others. 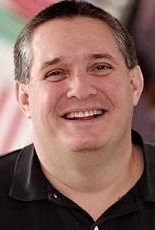 He developed and taught courses on SAP's proprietary programming language, ABAP/4.His research interests include an examination of process standardization in the context of business services off shoring, communication and privacy in electronic social networks, and organizational impacts of Information Systems. Dr. Balint also serves as Belmont's faculty coordinator for the SAT University Alliance. 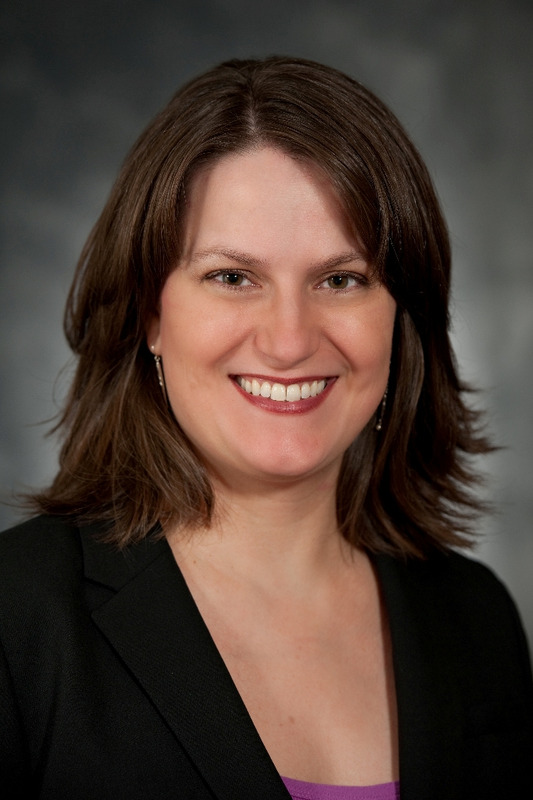 Dr. Balint was selected to participate in two doctoral consortia in Information Systems. His research has been published in Journal of Information Technology Case and Applications Research, Business Studies Journal, and Journal of Organizational Culture, Communications and Conflict. He has also presented his research at the Conference on Information Systems and Technology (CIST), the Workshop on Information Systems and Economics (WISE), the Institute for Operations Research and the Management Sciences (INFORMS), the Academy of Management (AOM), and the Hawaiian International Converence on System Sciences (HICSS). 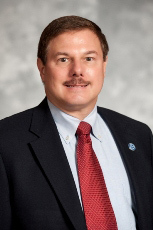 Dr. Balint is a member of several professional organizations including INFORMS, Beta Gamma Sigma, and the Association for Information Systems. He has served as a deacon and a Bible study teacher at churches in Atlanta, Pittsburgh, and Nashville. York, G.S., Wainright, C., and Chen D.C. (2017). Healthcare Supply Chain Management: An Instructive Model Designed to Create Service Value. Journal of Health Administration Education 34 (4), 525-559. Cannonier, C., Chen, D., and Smolira J. (2016). The effect of a homework grade cap in an Introductory Finance Class. Journal of Education for Business 91 (2), 95-100. Chen, D. C., Overby, J., & Padgett, B. (2014). Sprinkles Cupcakes: A Case Study of Creating a Successful Internationalizaion Strategy. Journal of International Academy for Case Studies. Chen, Dennis C. and Holsapple, Clyde W., (2009). Knowledge Shared is Power: Utilizing Knowledge Management Activities to Replicate Lean Sigma Best Practices. Knowledge Management & E-Learning: An International Journal, 2009, v. 1 No. 2, 90-102. Dr. Dennis C. Chen is an Associate Professor of Management and International Business at Belmont University. He received his Ph.D. in Business Administration from the University of Kentucky as well as a MBA degree from Baylor University and a BE degree in Mechanical Engineering from Vanderbilt University. He has seventeen years of operations, engineering, and R&D management experience within multinational companies, specifically in the consumer products disposable diaper business. Dr. Chen lived and worked in China on a two year international assignment as the startup plant manager for a production facility outside Shanghai, China. He has since visited China and Taiwan on multiple occasions, leading groups of undergraduate and MBA students on study abroad trips. 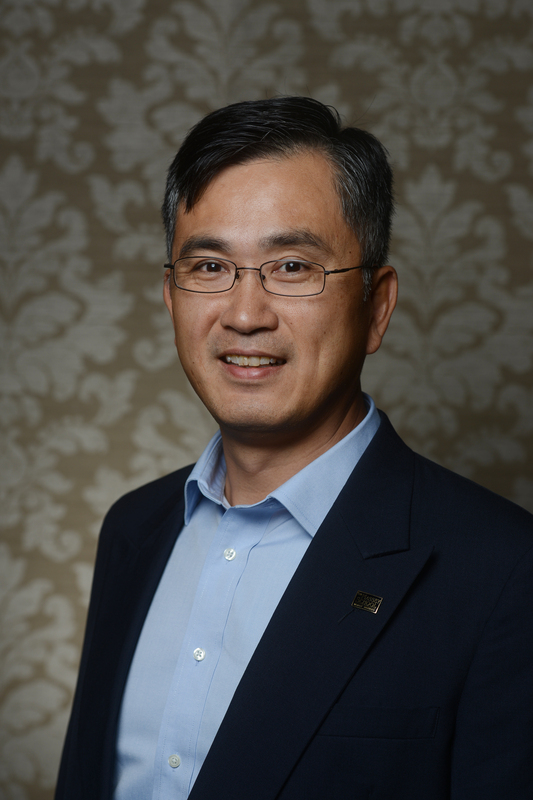 Dr. Chen teaches graduate and undergraduate courses in operations and supply chain management and international business and has also taught several executive education courses for Belmont’s Center for Executive Education. In his operations management course, he emphasizes systems thinking and continuous improvement utilizing lean and six sigma methods. He also volunteers with TNCPE to help TN organizations continuously improve using the Baldridge framework. 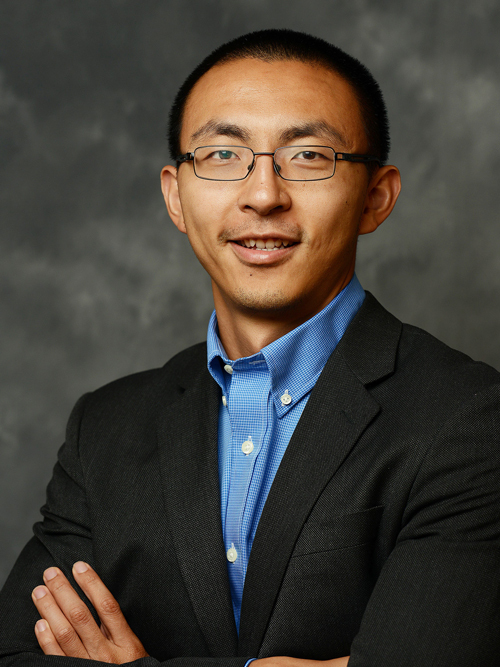 His current research interests are in the areas of supply chain relationships, supply chain social responsibility, and lean Six Sigma implementation. Childs, B. D., Cochran, H. H., & Velikova, M. V. (2013). How Course Management Technology Can Facilitate a Multimodal Pedagogy to Enhance Learning. Journal of Learning in Higher Education, 0 (1), 135-140. Childs, B. D., Cochran, H. H., & Velikova, M. V. (2012). How Economic and Personal Freedom Affect the Fiscal Condition of the 50 States. International Journal of Accounting Information Science & Leadership, 5 (13). Childs, B. D., Cochran, H. H., & Velikova, M. V. (2012). Factors Contributing to Better Fiscal Conditions among States. Atlantic Economic Journal, 40 (4). Cochran, Jr., H. H., Velikova, M. V., Childs, B. D., & Simmons, L. L. (in press, 2015). Apps for Economics. Journal of Economic Education. Dr. Childs is an Associate Professor of Accounting in the Jack C. Massey College of Business at Belmont University. He has been the main instructor in Belmont’s CFP program since its inception in 2002. A licensed attorney in Tennessee, a CPA and a CFP certificate, he earned his Ph.D. at Purdue University (Indiana) and his J.D. at Suffolk University (Massachusetts). He served as an officer in the U.S. Army before entering the field of accounting. He began his accounting career at Crowe Chizek prior to earning his Ph.D.
His service to Belmont University has included the establishment of a Belmont University chapter of Beta Alpha Psi, an honorary organization for Financial Information students and professionals, and overseeing the administration of library budgets for the College of Business Administration as well as membership on various internal committees. He has authored articles in professional publications that include Advances in Taxation, the Journal of Business and Economic Perspectives, and the Tennessee CPA Journal. Dr. Childs received the College of Business Administration’s Outstanding Scholarly Activity Award in 2004. Cochran, Jr., H. H., Velikova, M. V., Childs, B. D., & Simmons, L. L. (2015). Apps for Economics. Journal of Economic Education. Cochran, Jr., H. H. & Plummer, J. D. (2014). Developing a Domestic and International Sales Revenue Estimation Model of the For-Profit High Frequency Broadcast Industry. Journal of Interdisciplinary Business Studies, 3 (1), 1-11. Cochran, Jr., H. H. & Plummer, J. D. (2014). High Frequency Broadcasters Consider Block and Spot Revenue Approaches along with Cost Containment Tactics to Improve Profitability. Academy of Business Research Journal, 2. Cochran, Jr., H. H., Velikova, M. V., & Childs, B. D. (2013). How Course Management Technology Can Facilitate a Multimodal Pedagogy to Enhance Learning. Journal of Learning in Higher Education, 9 (1), 135-140. Recognized for guidance and mentoring of students., Delta Phi Omega. Dr. Howard H. Cochran, Jr., Professor of Economics and Finance, teaches both undergraduate and graduate economics and international business courses in Belmont University’s Jack C. Massey College of Business. He earned his B.B.A. in Finance from Walsh College, M.A. in Economics from Wayne State University, and Doctor of Arts in Economics from Middle Tennessee State University. He has also completed post-graduate study in administrative leadership at Harvard University, and the AACSB Bridge Program in Finance at Virginia Polytechnic Institute and State University. He has taught courses in macroeconomics, microeconomics and international business. Being a veteran of international studies, Dr. Cochran has also lead several Belmont student study-travel trips to China. His teaching, research, and consulting interests are in the areas of economic education, managerial economics, and international trade. Dr. Cochran is an advisor for firms seeking to source and sell products in that country. His most recent research relating to China includes articles with working titles including E-Music Growth in China – Obstacles and Opportunities for Foreign Firms, Toward Developing an International Index of Music Piracy, Use Chinese Merchandise Trade Data with Caution, Assessing the Impact of Trade with China on U.S. Manufacturing Industries, and Asian Manufacturing Trade Dominance. His extensive travels have taken him throughout North America, Western and Eastern Europe, Central Asia, the Far East, and the Indian Sub-Continent. While in Bangladesh he was able to spend time with Dr. Muhammad Yunus, the 2006 recipient of the Nobel Peace Prize. His research has been presented at national and international professional conferences and published in academic journals including: International Advances in Economic Research, Atlantic Economic Journal, Journal for Economics Educators, Journal of Economics and Finance and has an article accepted for 2008 publication in the Journal of Business, Industry, and Economics. Dr. Cochran has served the economics profession, Belmont University, his community and his church in a variety of endeavors. He has been honored by Delta Phi Omega for his guidance and mentoring of students. He is a director of the Nashville Rescue Mission and a member of the Tennessee Export Council, an appointment made by the United States Secretary of Commerce. President/CEO and Co-founder, Atlantic Behavioral Health Systems (1988 - 1997). Company began as a series of start-up ventures that were merged into this holding company. Responsible for overall executive management of the company. Business operated a full continuum of behavioral health programs, including outpatient clinics, community based services, and residential facilities throughout North Carolina. Grew from seven to over 300 employees. Revenues over $12 million. Raised over $5 million in debt and equity financing to fund growth. Negotiated successful sale of majority of business holdings in 1996, remainder of business sold in 1998. Co-founder and CEO of Entrepreneurial Mind, LLC (2014 - present). Schenkel, M., D’Souza, R., Cornwall, J., and Matthews, C. (2015) “Early Influences and Entrepreneurial Intent: Examining the Roles of Education, Experience, and Advice Networks” Journal of Small Business Strategy, 25(2). Cornwall, J.R. and Dennis, Jr., W.J. (2012). “Peeling the Onion: Public Policy in Entrepreneurship Education.” Journal of Entrepreneurship and Public Policy, 1(1). Schenkel, M., Cornwall, J., & Finley (2012). “Snappy Auction.” Entrepreneurship Theory and Practice, 36(3). Schenkel, M., Cornwall, J., & Finley (2012). “Teaching Note: Snappy Auction.” Entrepreneurship Theory and Practice, 36(3). Lambert, R.P., Alexander, J.F., Schenkel, M.T., & Cornwall, J.R. (2011). “Evans Glass Company: ‘You make the coffee, we’ll bring the cup!’” Journal of Business and Entrepreneurship, 23 (1), 122-140. Morris, M., van Vuuren, J., Cornwall, J., & Sheepers, R. (2009). “Properties of Balance Necessary for Corporate Entrepreneurship.” Business Horizons, 52 (3), 429-440. Naughton, M. and Cornwall, J. (2006). “The Virtue of Courage in Entrepreneurship: Engaging the Catholic Social Tradition and the Life-Cycle of the Business.” Business Ethics Quarterly, 16, 71-95. Cornwall, J. and Naughton, M. (2003). “Creating an Integrating Capstone for Entrepreneurship Students.” Journal of the Academy of Business Education, 4 (Fall), 62-67. Cornwall, J. and Naughton, M. (2003). “Who is the Good Entrepreneur? An Exploration within the Catholic Social Tradition.” Journal of Business Ethics, 44 (1), 61-75. Cornwall, J., Vang, D., and Hartman, J. Entrepreneurial Financial Management. 4th Edition. New York: Routledge, 2016. Scarborough, N. and Cornwall, J. Essentials of Entrepreneurship and Small Business Management. 8th Edition. Englewood Cliffs, NJ: Pearson/Prentice-Hall, 2016. Scarborough, N. and Cornwall, J. Entrepreneurship: Effective Small Business Management. 11th Edition. Englewood Cliffs, NJ: Pearson/Prentice-Hall, 2015. Morris, M., Kuratko, D., and Cornwall, J. Academic Entrepreneurship: Innovative Transformation of the Modern University. Edward Elgar Publishing, 2013. Cornwall, J. Bootstrapping. Englewood Cliffs, NJ: Pearson/Prentice-Hall, 2010. (Chinese edition published in 2010). Cornwall, J. and Naughton, M. Bringing Your Business to Life. Ventura, CA: Regal Books, 2008. (Hungarian edition published in 2011). Cornwall, J. From the Ground Up: Entrepreneurial School Leadership. Lanham, MD: Scarecrow Press, 2003. Brown, R. and Cornwall, J. The Entrepreneurial Educator. Lanham, MD: Scarecrow Press, 2000. Cornwall, J. and Perlman, B. Organizational Entrepreneurship. Homewood, IL: Irwin, 1990. Dr. Jeff Cornwall is the Jack C. Massey Chair in Entrepreneurship at Belmont University. He served as the Director of the Center for Entrepreneurship from 2003-2013. 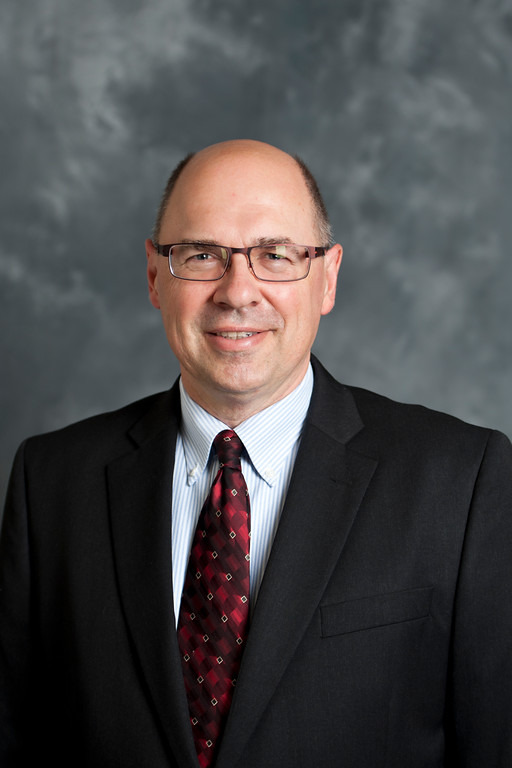 Previously, he was the Sandra Schulze Chair in Entrepreneurship at the University of St. Thomas in St. Paul, Minnesota, and on the faculty at the University of Wisconsin-Oshkosh, and the University of Kentucky. Dr. Cornwall earned a D.B.A and a M.B.A . from the University of Kentucky, and a B.S. from the University of Wisconsin-Stevens Point. In the late 1980s, he left academics to become the Co-founder and President/CEO of Atlantic Behavioral Health Systems, headquartered in Raleigh, NC. His company operated a variety of health care facilities and programs and employed over 300 people. After nine years of rapid growth, and negotiating the sale of most of the corporations' business interests, he returned to academics. Dr. Cornwall advises alumni of the entrepreneurship program on start-up and growth related issues. His current research and teaching interests include business modeling, entrepreneurial finance, and entrepreneurial ethics. Dr. Cornwall advises Collegiate DECA, which serves the interests of entrepreneurs across campus. In 2006, Dr. Cornwall was named a Fellow of the United States Association for Small Business and Entrepreneurship (USASBE). In 2008, Belmont University's Center for Entrepreneurship received the USASBE National Model Undergraduate Program of the Year Award. He served as President of USASBE in 2010. In 2013, Dr. Cornwall was named the Entrepreneurship Educator of the Year by USASBE. His blog, The Entrepreneurial Mind, is one of the most popular small business blogs on the web. It was named by Forbesas a "Best of the Web" and is part of the Forbes blog network. It is also linked to by Entrepreneur, Inc., The Wall Street Journal, and US News and World Report. Motowidlo, S. J., Martin, M. P., & Crook, A. E. (2013). Relations between personality, knowledge, and behavior in service encounters. Journal of Applied Social Psychology, 43, 1851-1861. Crook, A. E., Beier, M. E., Cox, C. B., Kell, H. K., Hanks, A. R., & Motowidlo, S. J. (2011). Measuring relationships between personality, knowledge, and performance using single-response situational judgment tests. International Journal of Selection and Assessment, 19, 363-373. Crook, A. E., & Beier, M. E. (2010). When training with a partner is inferior to training alone: The importance of dyad type and interaction quality. Journal of Experimental Psychology: Applied, 16, 335-348. Kell, H. J., Rittmayer, A. D., Crook, A. E., & Motowidlo, S. J. (2010). Situational content moderates the association between the Big Five personality traits and behavioral effectiveness. Human Performance, 23, 213-228. Dr. Crook earned an A.B. in Psychology with distinction from Duke University and completed her M.A. and Ph.D. at Rice University. Her expertise is in organizational behavior and human resource management, with an emphasis on employee selection and training. Professionally, she has worked as a manager and as a consultant to several organizations, providing services such as training development, organizational needs assessment, selection system design, and program evaluation. Her research has been published in academic journals and garnered various awards. Dr. Crook received the 2011 New Investigator Award from the American Psychological Association for her research on individual and team training. She was also awarded the Society for Human Resource Management (SHRM) Foundation Dissertation Grant for her doctoral research. Her recent research projects focus on interpersonal skills training, the development of non-traditional selection measures (situational judgment tests), and citizenship behavior in organizations. Dr. Crook is a member of the Academy of Management, the Society for Industrial & Organizational Psychology, and the American Psychological Association. She also currently serves as a member of the Committee on Ethnic Minority Affairs for SIOP. She is passionate about equal education opportunities for all students and has worked with Education Pioneers on education reform in the U.S.
Carrie, H., Baranik, L., & Daniel, F. (2012). College Student Stressors: A Review of the Qualitative Research. Stress and Health. Daniel, F. (2011). Diversity as Technology: A New Perspective. Journal of Diversity Management (JDM), 6 (2), 31-40. Dr. Francis Daniel received a B.S. from the United State Naval Academy, with a concentration in History. He earned his Ph.D. in Business Administration from Florida State University, specializing in Strategic Management. A former Naval Aviator and flight instructor, Dr. Daniel held numerous executive and command positions during a decorated active and reserve military career. He served as Officer-in-Charge of forward logistics sites in Egypt and Turkey during Operations Desert Storm and Provide Comfort, and as Commanding Officer of a large executive reserve unit. He held the rank of Captain (O-6) at his retirement from the Navy Reserve. His academic career has included appointments at the University of Southern Mississippi, where he was the Director of Graduate Academic Services for the Jack C. Massey College of Business and, more recently, Tennessee State University. He has taught management courses at both the graduate and undergraduate levels. A member of Beta Gamma Sigma international honor society and Sigma Iota Epsilon national honorary and professional management fraternity, he has also received recognition for his teaching. Dr. Daniel's research interests include slack resources and performance, trust and commitment, the strategic management of diversity, and various aspects of strategic leadership. His research has been presented at professional conferences and published in professional journals including The Journal of Business Research, Industrial Management and Data Systems, and Decision Sciences Journal of Innovative Education. He serves his profession as a reviewer of articles submitted for publication in The Journal of Management Educationand his institution as a member or chair of numerous college committees. Currently a member of East Brentwood Presbyterian Church, Dr. Daniel is an Elder in the Presbyterian (PC-USA) church. As such, he has been actively involved in church strategic planning, community outreach and Christian Education. Chief Financial Officer, Sullivan, Inc.
DeVries, D. D. & Lee, T. (2014). A Step-by-Step Learning and Feedback Technique for Systems Flowcharting. Accounting Information Systems Educator Journal, 8 (1), 30-35. DeVries, D. D. & Lee, T. (2013). Understanding Management Control in a Small Business: An Entrepreneurial Micro-Business Case (The Hot Dog Cart). Accounting Instructors' Report. Lee, T. & DeVries, D. D. (2013). Selection of Reporting Measures Under Varying Performance Relevant Scenarios. AABRI Journal of Behavioral Studies in Business, 6. DeVries, D. D. & Lee, T. (2012). Making Information Work For You. Strategic Finance, 93 (2), 37-41. Dr. DeVries earned his B.S.B.A. in Accounting at the University of South Dakota-Vermillion. He became a certified public accountant and obtained certification to be an Information Systems Auditor before earning his Ph.D. in Accounting from Arizona State University. His non-academic experience includes work as the Chief Financial Officer for Sullivan, Inc. and management positions at Deloitte & Touche and Citibank. He holds memberships in the American Accounting Association and American Institute of Certified Public Accountants. While at Arizona State University, he was a teaching assistant. He moved to the University of Tennessee as an instructor and remained there as an Assistant Professor. 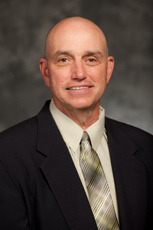 Dr. DeVries has taught accounting and information systems courses including: Accounting Information Systems, Strategic Information Management, Business Process Analysis, and Information Systems Audit, Security & Controls. An active researcher, his research interests include: Accounting Information Systems, Decision Making, IT Governance, Strategic Information Systems, and Educational Research related to systems, auditing and controls. His findings have been published in the Journal of Information Systems, Journal of Corporate Accounting and Finance, Compendium of Classroom Cases and Tools for AIS Applications, and CPA Journal. In addition to teaching and research, Dr. DeVries serves as the advisor to Beta Alpha Psi, the student honor society for accounting, finance, and information systems majors. Owner, Vice-President, Kelly's Kiddie Kare, Inc.
Cannonier, C., Faulk, G., & Smolira, J. (2014). "The Impact of the Maturity and Source of the Risk-Free Rate in Equity Estimation Under the CAPM,. Journal of Law and Financial Management. Faulk, G. K. (in press, 2014). Economic Evaluation of Earnings Capacity Loss in Personal Injury Cases: Issues for Forensic Economists and Implications for Vocational Evaluators. Journal of Forensic Vocational Analysis. Renard, S., Faulk, G. K., & Goodrich, P. S. (2013). Network Perspectives on the Relevance of the New Revenue Streams in the Digital Era Music Industry. Music and Entertainment Industry Educators Association (MEIEA) Journal. Faulk, G. K. (2011). The relation of prerecorded music media format and the U. S. recording industry piracy claims: 1972 - 2009. AABRI Research in Business and Economics Journal. Dr. Greg Faulk, Professor of Finance, teaches Corporate Finance in the School of Business Administration. His research interests include forensic economics, retirement asset allocation, the financial aspects of the music business industry and finance pedagogy. He is also a forensic economist specializing in the area of human capital valuation. Financial Analyst, Northern Telecom, Inc.
Fowler, J., Fowler, S., & Hicks, R. (2013). A Historical Investigation of Patterns in Sophomore Album Release. Music and Entertainment Industry Educators Association (MEIEA) Journal, 13 (1), 61-74. Fowler, S. J. & Fowler, J. J. (2012). The Case for Intensive Skill-Biased Technological Change. Journal of Economics and Economic Education Research (JEEER), 13 (2), 67-96. Fowler J. & Fowler, S. (2011). A Quantitative Analysis of Entertainment Consumption: 1984-2009. MEIEA Journal, Vol. 11, No. 1. Fowler J. & Wacholtz, L. (2011). The Whoop Curve: Predicting Entrepreneurial and Financial Opportunities in the Performing Arts. Academy of Entrepreneurship Journal, Vol. 17, No. 1. 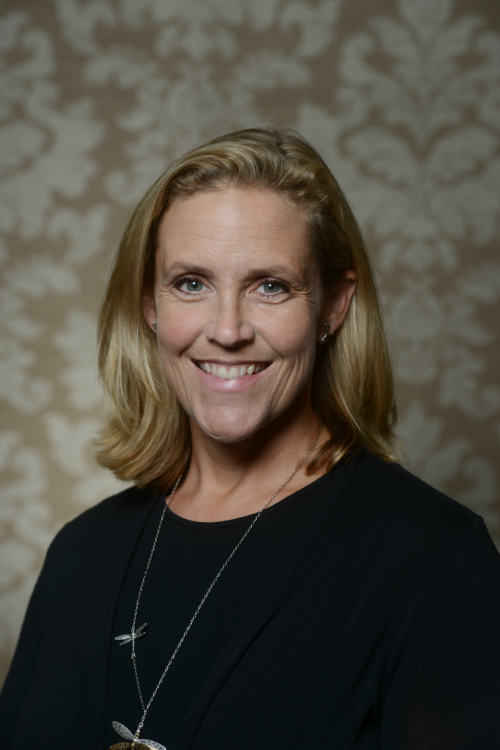 Dr. Jennifer Fowler is an associate professor of economics and music business at Belmont University where she serves as the associate dean of the Jack C. Massey Graduate School of Business. Dr. Fowler also serves as an Associate Professor of Economics and Music Business at Belmont University. Since 2006, she had held a joint appointment with the Jack C. Massey College of Business and the Mike Curb College of Entertainment and Music Business. Professor Fowler's teaching and research interests include entertainment industry economics, consumer expenditures and macroeconomic theory. Recent publications include the International Journal of Monetary Economics and Finance, Economic Modelling and the MEIEA Journal and she is currently in the process of writing an undergraduate textbook in entertainment industry economics. Dr. Fowler recently completed economic impact studies for the Nashville Zoo and the Nashville Chapter of the Recording Academy. Additionally, she completed a white paper for City National Bank entitled Georgia Film Study and Industry Analysis. She serves as an economic consultant to the advocacy committee of the Nashville Chapter of the Recording Academy, has been quoted by the Federal Reserve Bank of Atlanta’s Extra Credit, as well as local and other media outlets on entertainment issues. Dr. Fowler is a member of the American Economic Association, the Southern Economic Association, Music Industry Research Association and the Music and Entertainment Industry Educators Association. Garrison, G., Wakefield, R. L., & Kim, S. (in press, 2015). The Effects of IT Capabilities and Delivery Model on Cloud Computing Success and Firm Performance for Cloud Supported Processes and Operations. International Journal of Information Technology Management. Noh, M., Lee, K., Garrison, G., & Kim, S. (2013). The Impact of Collectivism on User Acceptance of Social Commerce (s-Commerce). Journal of Electronic Commerce Research, 14 (3), 244-260. Garrison, G. G., Kim, S., & Wakefield, R. L. (2012). Success Factors for Deploying Cloud Computing. Communications of the ACM, 55 (9), 62-68. Garrison, G., Harvey, M., & Napier, N. (2008). The Role of Managerial Curiosity in Assessing Potentially Disruptive Information Technologies. Multinational Business Review, 16 (1), 21-52. Gary Garrison is an Assistant Professor of Information Systems Management at Belmont University. He received his M.B.A. and Ph.D. from The University of Mississippi in 2002 and 2005, respectively and his B.S. in Biology from Missouri State University in 1993. Dr. Garrison’s teaching interests include Database Management, Systems Analysis and Design, Project Management, and Managing Information Systems in Business. His research is focused on virtual team collaboration and organizational identification and adoption of disruptive technology. 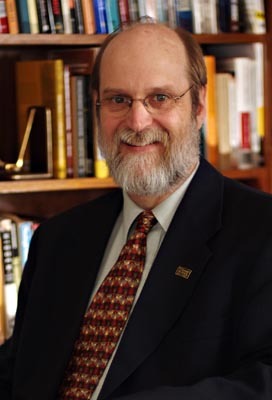 Dr. Garrison’s publications can be found in Information Systems Research, Information Systems Frontiers, Computers in Human Behavior, Multinational Business Review, Management Research News, among others. 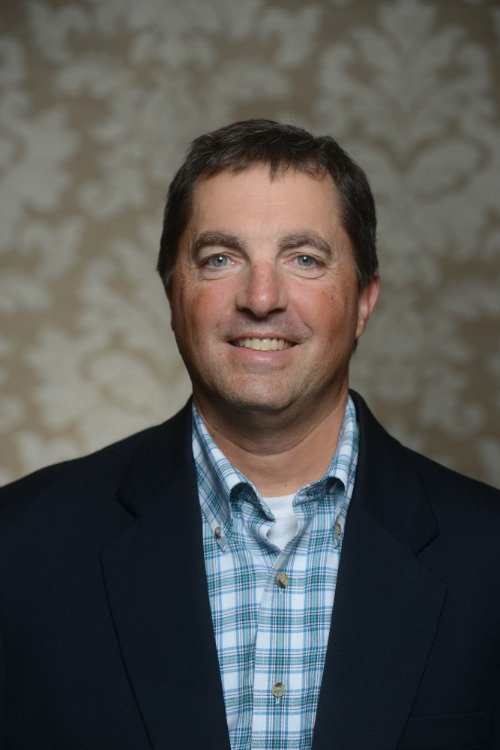 He is involved in the Nashville Technology Council where he serves as a member of the Workforce and Education committee, which is responsible for creating and implementing the Turning the Tide of Technology (T3) imitative in Middle Tennessee. T3 is a joint effort of the academic and business communities for the purpose of collaborating on solutions around the key challenges of resolving the IT labor shortage in Middle Tennessee. Dr. Garrison also serves on the Metropolitan Nashville Public School’s (MNPS) Business Marketing and IT Partnership Council. This council is tasked with developing Career Academies in Metro-Nashville that will provide curriculum guidance, advocacy, industry trend information, business/school partnership recommendations, and general assistance to the academies to ensure that the students are graduating with skills that are needed for today's workforce. Financial Planner, Office of the Vice Chairman, Ferris, Baker Watts, Inc.
Gonas, J. S. & Dolvin, S. (2011). Off the Rack Versus Savile Row: The Value of Custom Tailoring for Equity Investors. Journal of Financial Planning. Bradley, D., Gonas, J. S., Highfield, M., & Roskelley, K. (2009). An Examination of IPO Secondary Market Returns. Journal of Corporate Finance. Bradley, D., Gonas, J. S. , Highfield, M., & Roskelley, K. (2008). An Examination of IPO Secondary Market Returns. Journal of Corporate Finance. Dolvin, S., Gonas, J. S. , & Pyles, M. (2008). How Students Change Investment Objectives and Risk Tolerances After an Undergraduate Investments Course. Journal of Economics and Finance Education. 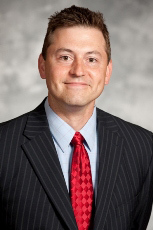 Dr. John Gonas is an Associate Professor of Finance in the Undergraduate and Jack C. Massey School of Business. Gonas teaches Corporate Finance, Introduction to Investments, and Investment Management, and his teaching philosophy revolves around real life application of a subject matter. 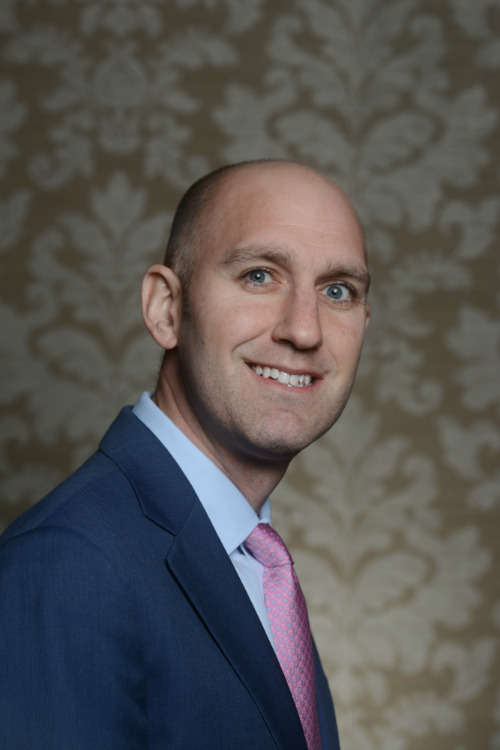 Prior to joining Belmont's faculty in 1998, Gonas worked in the financial planning industry for eight years (most recently with J.C. Bradford, Inc. in Nashville) primarily in retail brokerage, investment consulting and fee-based asset management. During the 2000-2002 academic years, he went on leave from Belmont to pursue a doctorate in Finance at the University of Kentucky, a degree he received in the spring of 2005. Gonas also serves as a Sam Walton Fellow, responsible for advising Belmont's SIFE students. SIFE (Students in Free Enterprise) is an international, non-profit organization active on over 1,500 college and university campuses in 47 countries. Under Gonas' leadership, Belmont's SIFE program has won numerous regional and national awards for its service projects. Beginning in 2006 with the National Rookie of the Year Award, from 2007- 2009 they placed in the Top 20 at the USA National Exposition, and in 2010 the team was named USA National Champions and placed third in the world. Belmont SIFE also won the Motion Picture Association of America 2007 Grand Prize for its Anti-Piracy Public Service Announcement. In 2008, Dr. Gonas was selected as Tennessee's Professor of the Year by The Carnegie Foundation for the Advancement of Teaching and the Council for Advancement and Support of Education (CASE). Harding, Lora Mitchell (forthcoming), "Keeping Goliath on His Toes: A Case Discussion Method for Increasing Engagement and Individual Accountability in Large Classes," Marketing Education Review, DOI: 10.1080/10528008.2018.1437355. Harding, Lora Mitchell (2018), “Students of a Feather ‘Flocked’ Together: A Group Assignment Method for Reducing Free-Riding and Improving Group and Individual Learning Outcomes,” Journal of Marketing Education, DOI: 10.1177/0273475317708588. Harding, Lora Mitchell, and Mark T. Schenkel (2017), “Brand Advertising in an Access–Ownership World: How Marketing Channels Impact Message Persuasiveness,” Journal of Marketing Channels, 24(1-2), 51-72, DOI: 10.1080/1046669X.2017.1346981. Phillips, J. Mark, Kyle A. Higgins and Lora Mitchell Harding* (2016), “From Old Spice to The Texas Law Hawk: How Inbound Marketing, Content Leadership and Social Media Can Level the Playing Field for Solo Practitioners,” The Journal of Business, Entrepreneurship & the Law, Pepperdine University School of Law, 9(2), 389-409. Dr. Lora Harding is an associate professor of marketing at Belmont University. 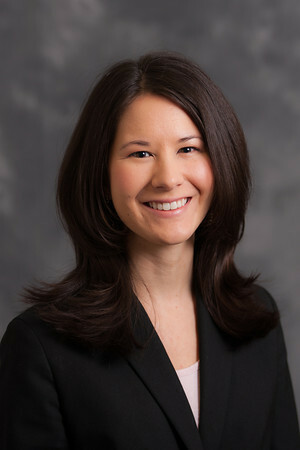 She received her Ph.D. from the Kellogg School of Management, Northwestern University in 2011. In general, her research examines how consumers’ (and students’) motivations, perceptions and feeling states influence their judgment and behavior. This research falls into three main streams: persuasion, student engagement and consumer-brand relationships. Prior to earning her Ph.D., Dr. Harding worked for eight years as an account executive and consumer research manager at The Buntin Group, a full-service advertising agency in Nashville, Tennessee. Her clients included the United Methodist Church, Odom's Tennessee Pride Sausage, O’Charley’s Restaurants, Tennessee Valley Authority, Purolator oil and air filters, Servpro fire and water damage restoration services, Goodyear tires and Chinet disposable plates. He, Yang and Marcus da Cunha Jr, “The Action Hero: Mating Motive Mitigates Omission Bias”, SCP Annual Winter Conference, St. Pete Beach, FL, February 2016. He, Yang and Scott Thompson, “When Brand Communities Reduce Sales: Brand Community Interactivity and Media Product Sales on the Secondary Market”, AMA Winter Marketing Educators’ Conference, Las Vegas, NV, February 2013. Yang He received his PhD degree in Marketing at the University of Georgia, where he was trained in microeconomics, behavioral decision theories, and multivariate analytical methods. He’s research interests include judgment and decision making theories. He follows the behavioral economics paradigm and investigates consumers’ behavioral anomaly in response to situational risk and uncertainty. Insights from He’s recent research projects provide guidelines for mitigating decision biases and preserving consumer welfare. Other research topics also include the influences of risk and uncertainty on consumers’ cognitive functions, such as the ability to learn, internalize, and recall advertising information. In teaching and practice, He is interested in developing consumer-oriented marketing strategies in the Big Data era. He is knowledgeable in mobile software and network platform development. In the upcoming Marketing Analytical courses, He teaches analytical methods with a specific focus on extracting applicable information for marketing practices from the vast data available in the Internet Big Data era. In his spare time, He enjoys outdoors activities and fiddling in his workshop. My undergraduate degree in music is from Ole Miss. I also received my law degree from Mercer University in 1981. Since that time, I've practiced law in Nashville on historic Music Row representing artists, songwriters, artist managers, business managers, record companies, record producers, booking agencies and publishing companies. I taught a few years at Middle Tennessee State University in the Recording Industry department and since 2005, I have been an assistant professor in the Mike Curb College of Entertainment and Music Business at Belmont University. I teach such courses as Music Licensing, Artist Management, Intellectual Property and Legal Issues in the Music Industry. I'm also faculty advisor to the Showcase Council and am a member of the Belmont University Faculty Senate. For several years I played drums in the Nashville bagpipe band (yes, I wore a skirt) and I currently play drums in my Church band. My wife and I have two wonderful sons. Dr. Ken House's research focuses on the impact of accounting information on executive turnover. He has presented his work at the American Accounting Association and has various papers in process. Before entering the PhD program, Dr. House worked as an Audit Senior for Deloitte, specializing in utilities and non-for-profit clients. He was self-employed as a Sarbanes-Oxley Consultant, working primarily on Sarbanes-Oxley readiness for a company owned by the private equity firm The Carlyle Group. Ferrell, O.C., Ferrell, L., Huggins, K.A. (2017). Seismic Shifts in the Sharing Economy: Shaking Up Marketing Channels & Supply Chains. Journal of Marketing Channels, 24(1/2), 3-12. Huggins, K.A. Pretorius, M.T., Burger, J.A., Overby, J. (2016). The Two-a-Day Way: A Choice of Target Market Selection for South Africa’s Apple Export Business. Business Case Journal, 23(2), 56-71. Huggins, K. A. White, D. W., Stahl, J. (2016). Antecedents to Sales Force Job Motivation and Performance: The Critical Role of Emotional Intelligence and Affect-Based Trust. International Journal of Sales, Retailing and Marketing, 5(1), 27-37. Phillips, J.M., Huggins, K. A., Harding, L. M. (2016). From Old Spice to Texas Law Hawk: How Inbound Marketing, Content Leadership and Social Media Can Level the Playing Field for Solo Practitioners. Journal of Business, Entrepreneurship, and the Law, 9(2), 389-409. Huggins, K. A., Holloway, B. B., White, D. W. (2013). Cross Cultural Effects on E-Retailing: Differentiating Mexican Consumers from Non-Mexican Hispanic Consumers. Journal of Business Research, 66(3), 321-327. White, D., Absher, K., Huggins, K. A. (2011). The Effects of Hardiness and Cultural Distance on Socio-Cultural Adaptation in an Expatriate Sales Manager Population. Journal of Personal Selling and Sales Management, 31(3), 325-338. Bates, K., Burton, S., Huggins, K. A., Howlett, E. (2011). Battling the Bulge: Menu Board Calorie Legislation and its Potential Impact on Meal Repurchase Intentions. Journal of Consumer Marketing, 28(2), 104-113. Burton, S., Howlett, E., Bates, K., Huggins, K. A. (2009). Coming to a Restaurant Near You? Potential Consumer Responses to Nutrition Information Disclosure on Menus. Journal of Consumer Research, 36(3), 494-503. Bates, K., Burton, S., Creyer, E., Huggins, K. A. (2009). The Roles of Gender and Motivation as Moderators of the Effects of Calorie and Nutrient Information Provision on Away-from-Home Foods. Journal of Consumer Affairs, 43(2), 249-273. Burton, S., Creyer, E., Kees, J., Huggins, K. A. (2006). Attacking the Obesity Epidemic: An Examination of the Potential Health Benefits of Nutrition Information Provision in Restaurants. American Journal of Public Health, 96(September), 1669-75. 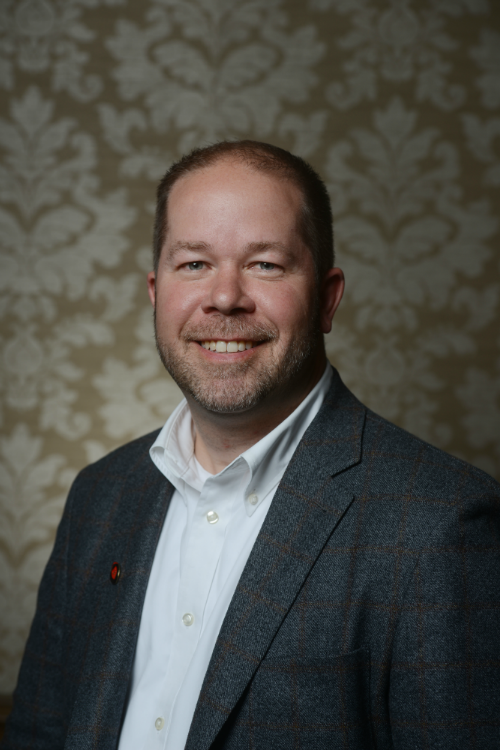 Dr. Kyle A. Huggins received a BS in Psychology and an MBA from Union University in Jackson, Tennessee and a Ph.D. in Marketing from the University of Arkansas in Fayetteville. Dr. Huggins's teaching interests include Strategic Marketing Management, Social Media Marketing, Consumer Behavior, and Sports Marketing. As a graduate student at the University of Arkansas, he won the 2005 Walton College of Business Award for Excellence in Teaching and the campus wide 2005 Baum Teaching Award. In 2006, Dr. Huggins was selected as AMA Sheth Doctoral Consortium Fellow from the University of Arkansas. Then, in 2011, he was inducted as a LINKS Hall of Fame recipient for his distinguished work with LINKS competitive business simulations in the classroom. Dr. Huggins is a passionate teacher, loving the classroom and pushing his students to be the best version of themselves. Administratively, Dr. Huggins served as the Accelerated-MBA Director at Belmont from 2013-2015 recruiting top college graduates from around the world, assisting placement in top companies in various industries, including Music Business, HealthCare, and Digital Marketing agencies throughout Nashville and the southeast region. Before coming to Belmont, Dr. Huggins served as Chair of the External Relations Committee for the department of marketing at James Madison University, assisting career services in bringing employers to campus to recruit marketing graduates, including companies like ADP, Newell Rubbermaid, and SAP. In coordination with this vision, Dr. Huggins was also the Marketing Internship Coordinator and a Freshman Advisor to incoming marketing majors. Finally, Dr. Huggins served as the departmental liaison to the College of Business Executive Advisory Council, attending yearly EAC meetings and sharing departmental goals and concerns with council members. Finally, Kyle has served his local communities as the Ambassador Family for the Rockingham County March of Dimes, and fundraiser for the American Heart Association’s Jump Rope for Heart and the Congenital Heart Walk in Nashville, TN. Before arriving at Belmont, Dr. Huggins worked in various business capacities for The Pictsweet Company and Campbell Hausfeld, both located in his home state of Tennessee, and served as an assistant professor at Union University and James Madison University. He is married to his wife, Christie, and in 2007 became father to boy-girl twins named Blake and Lauren. Personally, he enjoys golf, fly-fishing, fantasy football, and most importantly, spending time with his family and church community. Rule 31 Mediator, 2014 (2014-2015), Nashville, Tennessee. Rule 31 Mediator, 2014 (2014), Nashville, Tennessee. Loes, C. & Gonas, J. (2014). CAN A SOCIAL ENTERPRISE SUSTAIN OPERATIONAL EFFICIENCY AND PROFITABILITY IN AN OPEN MARKET? THE CASE OF SPRING BACK RECYCLING. International Journal of Social Entrepreneurship and Innovation. Loes, C. (2014). IMPROVING PROCESSES FOR EXPATRIATE SELECTION. Business Studies Journal. Loes, C., Penn, S., & Henshaw, L. (2015-2016, September). "Full-Time Tenure-Track: Is that for me?" Transition from nontraditional terminal degree program to traditional higher education. 5th International Conference on Engaged Management Scholarship, Baltimore, Maryland. Gonas, J., Loes, C., & Summar, C. (2014-2015, November). Corporate form choice for social enterprises and its financial and social implications. 11th Annual Social Entrepreneurship Conference, Boston, Massachusetts. Dent, E., Loes, C., & Weisberg, M. (2014-2015, June). The Integration of Ethics and Humane Values in Teaching: Experiential and Service Learning. Organizational Behavior Teaching Conference, Nashville, Tennessee. Loes, C. & Henshaw, L. (2012-2013). What can educators learn from innovative companies to implement into their teaching to align with the new AACSB standards? Current debate over innovative educational solutions. Organizational Behavior Teaching Conference, Ashville, North Carolina. Dr. Cate Loes, is an Assistant Professor of Management at the Jack C. Massey College of Business Administration. She joined the faculty in 2004. Dr. Loes has taught courses in management, services marketing, non-profit marketing, service learning, business communications, and multi-culturalism in business. She is also an instructor for the Center of Executive Education at Belmont University specializing in Business Communications, Listening, and Writing, Generations. She is a Sam Walton Fellow for the international student organization, Enactus. Through this organization, she mentors students and the greater business community in developing sustainable social enterprises. She enjoys traveling both domestically and internationally with her students. She currently works on projects with students in Ethiopia and Guatemala and across the United States. Dr. Loes graduated from North Dakota State University with a B.S. in Mass Communications and Speech Communications. She earned an M.B.A. from the Jack C. Massey Graduate School of Business and her Doctorate of Management from University of Maryland. Her research focused on Organizational Selection of Expatriates. She is an active member of the Nashville non-profit community having served on the boards of The Our Kids Center, Nashville’s Table, and The Virtual School of Music, and as an examiner for the Tennessee Center for Performance Excellence. Dr. Loes is also a certified State of Tennessee Rule 31 Listed Mediator. Ph.D. - Strategy, Program and Program Management, 2015 SKEMA (France) Dissertation: "Influence of Ethical Behavior in Corporate Governance"
Licentiate - Naval Systems, 1996, Instituto Universitario Naval (Argentina) FIS equivalent to B.S.E.E. Lopez, E. (2017) Strategic Ethics and Governance. GSTF Journal on Business Review (GBR) 5 (2). Lopez, E. (2016) Influence of Ethical Behaviors in Corporate Governance. Lambert Academic Publishing: Saarbrucken, Germany. Lopez, E., & Medina, A. (2016) Ethics and Governance in Project Management: Small Sins Allowed and the Line of Impunity. (Taylor and Francis: New York, NY). Lopez, E., & Medina, A. (2015) TRN: Influence of Ethical Behaviors in Corporate Governance. International Journal of Managing Projects in Business 8(3). Lopez, E., (2015). Influence of Ethical Behaviors in Corporate Governance. Doctoral thesis, SKEMA Business School, France. Submitted October 2014, defended in February 2015. 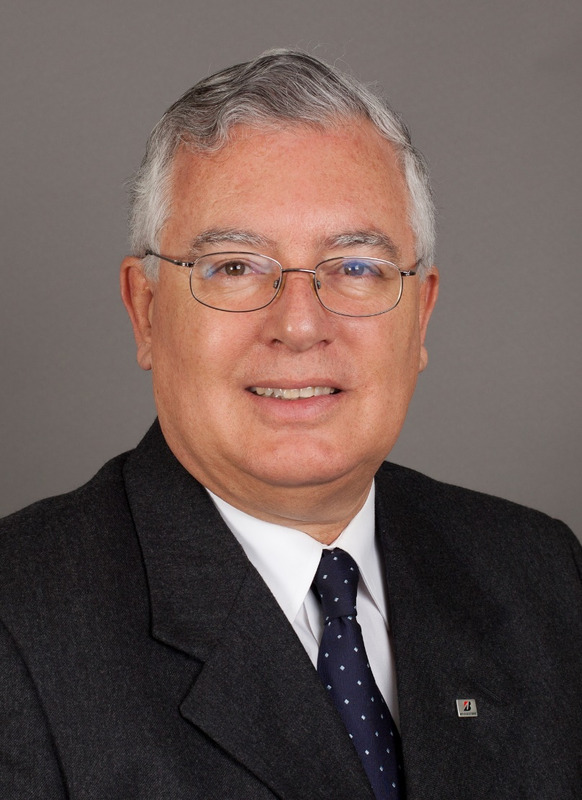 Dr. Eduardo Lopez is a management professor and author, with more than 20 years of international experience working in the industry for companies such as Ericsson, Siemens, Nokia, and Bridgestone. He is a key presenter and motivator. Advocate of the Project Management profession, and champion of governance, ethics, and social responsibility. Subcontract Specialist, Litton Systems, Inc.
Massey Graduate School of Business. Received the COBA Researcher of the Year award in 2013. Massey Graduate School of Business. Received the Most Inspirational Professor Award by the 2011 graduating class of the Accelerated MBA program. Dr. John Maslyn is a Professor of Management in the Jack C. Massey College of Business. He earned his PhD in Management at Georgia Tech following a 10 year career in subcontract administration and negotiation in three major US corporations. Prior to Joining the faculty at Belmont he was on the faculty at Wichita State University and Vanderbilt University. He teaches leadership and organizational behavior in both the graduate and undergraduate business programs. 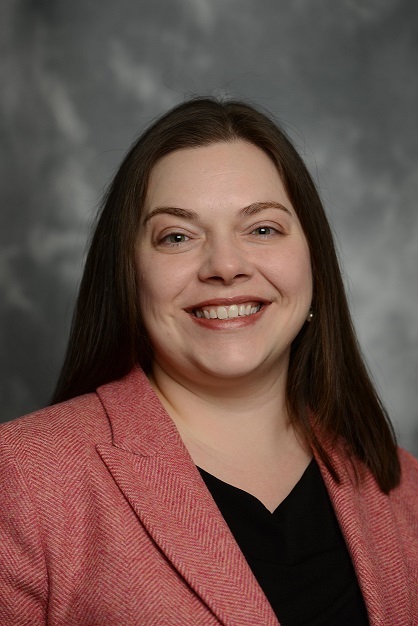 Dr. Maslyn's primary research interests are in the nature and effects of interpersonal work relationships on personal and organizational functioning, specifically positive outcomes associated with positive manager-subordinate relationships or positive coworker relationships. His research has been published in top journals in his field and he has presented his work at both national and regional conferences. He is an active member of the Academy of Management and the Southern Management Association. The Accelerated MBA Class of 2011 presented him the Most Inspirational Professor Award. Publication outlets include the American Business Law Journal, Maryland Law Review, Delaware Journal of Corporate Law, Harvard Business Law Review, Journal of Legal Studies Education, Stanford Social Innovation Review, University of Miami Law Review, West Virginia Law Review. Professor Murray teaches business law and negotiation courses to undergraduate and graduate students. Currently, his research focuses on corporate governance, mergers & acquisitions, sports law, and social entrepreneurship law issues. Professor Murray is on the executive committee of the Southeastern Academy of Legal Studies in Business (“SEALSB”) and is a co-editor of the Business Law Professor Blog. His articles have been published in a variety of journals, including the American Business Law Journal, the Delaware Journal of Corporate Law, the Harvard Business Law Review, and the Maryland Law Review. 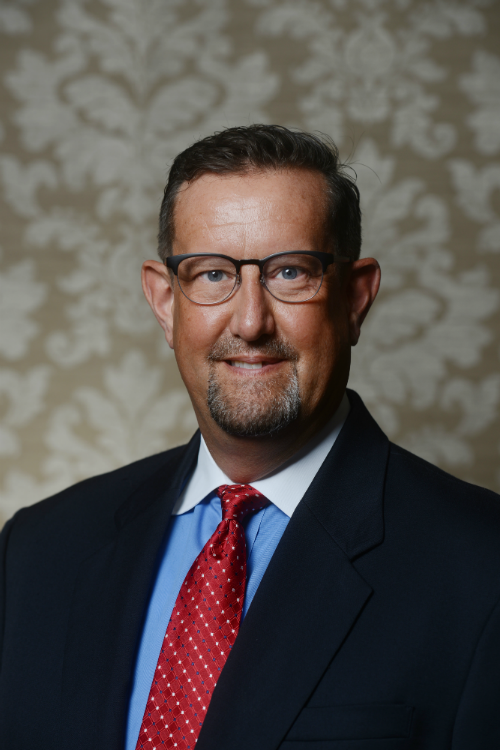 Prior to joining Belmont University’s faculty, Professor Murray clerked on the Delaware Court of Chancery and practiced corporate law at two global law firms: King & Spalding (Atlanta, GA) and Weil, Gotshal & Manges (New York, NY). Overby, J. W. (in press, 2015). The Branding of Club Atlético de Madrid: Global or Local? Case Research Journal. Chen, D. C., Overby, J. W., & Padgett, B. L. (in press, 2014). Sprinkles Cupcakes: A case study of creating a successful internationalization strategy. Journal of the International Academy for Case Studies. Min, S., Overby, J. W., & Im, K. S. (2012). Relationships Between Desired Attributes, Consequences And Purchase Frequency. Journal of Consumer Marketing, 29 (6), 423-435. Overby, J. W. (2012). Building a Model of Culture, Context, and the Means-End Value Hierarchy: An In-Depth Investigation of French and American Wine Consumers' Perceptions of Value. Journal of Euromarketing, 21 (4), 193-218. Overby, J. W. (2010). Genesee & Wyoming: A Railroad Down Under?'. The CASE Journal. 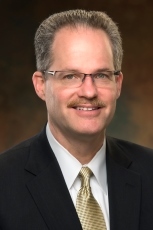 Dr. Jeffrey W. Overby currently serves as Director of the Center for International Business and Associate Professor of Marketing at Belmont University. 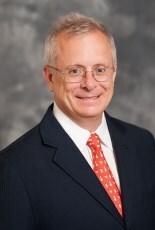 His responsibilities include teaching marketing and international business at the undergraduate and graduate levels, expanding Belmont’s International Business major, establishing study abroad relationships with foreign universities, and promoting internationalization within the Jack C. Massey College of Business and the greater Nashville community. He also regularly teaches in international study programs, including recent study abroad trips to Spain, France, United Arab Emirates, South Korea, South Africa and Botswana. He obtained a Doctorate of Philosophy in Business Administration from the University of Tennessee, Knoxville, an M.B.A. from Millsaps College, and a Bachelor of Science in French from Mississippi State University. He has also studied at Odense University in Denmark, Birkbeck College in England, and in Clermont-Ferrand, France. Dr. Overby regularly consults with businesses and organizations specifically in the areas of customer value analysis, international branding, and multicultural marketing. He also serves on the Board of Directors of the International Business Council of the Nashville Area Chamber of Commerce and on the Advisory Board of the Turkish American Chamber of Commerce, the Academy of International Business at Hillsboro High School, the Tennessee Chinese Chamber of Commerce, and the Tennessee World Affairs Council. Dr. Overby is a past board member of the Danish American Chamber of Commerce, the German American Chamber of Commerce, the City of Tallahassee International Affairs Council, Jackson Sister Cities, the Southern Regional Chapter of Italy-America Chamber of Commerce in Atlanta, and the Capital Optimist Club in Jackson, Mississippi. He is a member of Sister Cities of Nashville, the American Marketing Association, the Academy of Marketing Science, and the Academy of International Business. 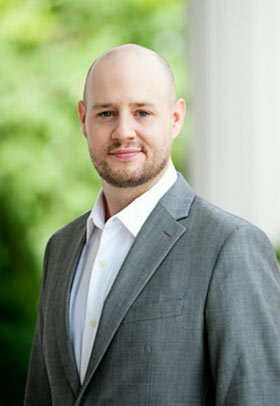 His early career included six years as European Project Manager and Market Research Analyst for Entergy Corporation, four years as a graduate assistant in the College of Business at the University of Tennessee, and five years at Assistant Professor of Marketing and International Business at Florida State University. While at Entergy Corporation, he recruited and managed European direct investment projects targeted at the Middle South region of the United States, and advised small and medium-sized business with their international marketing strategies. While at Florida State, he was part of the core faculty in the International Business program and the faculty advisor to the International Business Association. He also taught each summer in London, England and Valencia, Spain. Dr. Overby's academic research interests are in the areas of international marketing, international business strategy, cross-cultural consumer behavior, and the ethics of globalization. He has published in a number of leading journals and magazines, including Journal of the Academy of Marketing Science , Journal of Business Research, The CASE Journal, International Marketing Review, Industrial Marketing Management , The Service Industries Journal , Journal of Consumer Marketing, The Journal of Consumer Satisfaction, Dissatisfaction and Complaining Behavior, International Journal of Service Industry Management , International Journal of Management , and Competitive Edge . He has also served as a book reviewer for Prentice Hall, Wiley & Sons, and South-Western Cengage. Padgett, B. L. (in press, 2014). 10 Virtues of Outstanding Leaders. Business Ethics Quarterly. Padgett, B. L., Chen, D., & Overby, J. (in press, 2014). SPRINKLES CUPCAKES: A CASE STUDY OF CREATING A SUCCESSFUL INTERNATIONALIZATION STRATEGY. Journal of International Academy for Case Studies. Padgett, B. L. & Rolston, C. (in press, 2013). Crowd Funding: A Case Study At The Intersection Of Social Media and Business Ethics. Journal of International Academy for Case Studies. Padgett, B. L. & Rau-Foster, M. (2012). Leadership Ethics: An Introduction. Business Ethics Quarterly. Dr. Padgett received his B.A. from the University of Mobile, M.A. in Philosophy from the University of Louisville, and Ph.D. from Purdue University. He comes to Belmont after 10 years of teaching at Bellarmine University in Louisville, Kentucky, where he has directed the Ethics and Social Justice Program since 2002. At Bellarmine, he taught graduate courses in Business Ethics and Bioethics and undergraduate courses in Philosophy of Law, Logic, Marketing Ethics, Business Ethics, and Health Care Ethics. Believing that education, particularly applied ethics, works best when it challenges individuals to search introspectively for resolutions to difficult contemporary issues, he has received multiple awards for his teaching. In addition to numerous articles in professional journals including the Journal of Legal, Ethical and Regulatory Issues, Business Ethics Quarterly, and Academy of Marketing Studies Journal, he has authored two books. In the most recent, published in 2009 and entitled Professional Morality and ‘Guilty Bystanding:' Merton's Conjectures and the Value of Work, Padgett asserts that work has a central role in our lives and is a major component of self actualization and well-being. Using the works of Thomas Merton as a guide, Padgett contends that a renewal of our professional lives and the institutional contexts in which we operate is needed to humanize the alienating aspects of work and professions. 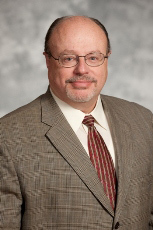 Dr. Padgett has served his university in various capacities, his community as a media expert and Better Business Bureau Torch Awards (business ethics) judge, and his profession as a guest speaker to professional organizations including the Louisville Bar Association and Louisville Public Library. Phillips, J. Mark. Entrepreneurial Esquires in a New Economy: Why Every Lawyer Should Learn About Entrepreneurship in Law School. Pepperdine Journal of Law, Business & Entrepreneurship, Fall 2014. Phillips, J. Mark, Messersmith, Jake. 2013. Entrepreneurship in Professional Service Firms: Corporate entrepreneurship as a mode of innovation in PSFs. Journal of Business and Entrepreneurship. 24, (2) (Spring): 79-96. Wark, John & Phillips, J. Mark. 2013. Pacific Marketing International: A case study on building a start-up based upon trans-pacific entrepreneurial relationships. Journal of Business and Entrepreneurship. 24, (2) (Spring): 97-125. Phillips, J. Mark, May, Kevin & Bailey, James. “Engaged Scholarship”: In Encyclopedia of Management Theory, edited by Eric H. Kessler, 58-61. Thousand Oaks, CA: SAGE Publications, Inc., 2013. Phillips, J. Mark, May, Kevin & Bailey. "Bad Theories." In Encyclopedia of Management Theory, edited by Eric H. Kessler, 58-61. Thousand Oaks, CA: SAGE Publications, Inc., 2013. Phillips, J. M. 2012. The Entrepreneurial Esquire: Entrepreneurial Climate as a Mediator between Transformational Leadership and Performance in Law Firms. Ph.D. dissertation, The George Washington University School of Business. 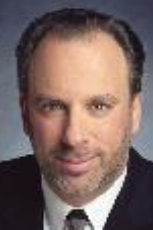 Mark Phillips has been affiliated with law firms in New York, Maryland and Washington, D.C. He has sales and marketing experience with Legg Mason Wood Walker, Inc. in Baltimore, Maryland and management experience at the Urban Assistance Corporation in New York City. He has taught a variety of organizational behavior, entrepreneurship, negotiation and legal courses as an adjunct professor, guest lecturer and instructor at the MBA and undergraduate levels. He also worked with the Center for Entrepreneurial Excellence to develop its 3E Entrepreneurship Education program. Phillips' article entitled “What Drives Attorney Performance in Large Law Firms? A Theoretical Framework Examining Attorney Performance” was published in the refereed proceedings of the 2009 Conference of the Southern Management Association. His work was also a finalist for the Best Paper Award for a paper entitled “The Impact of an Entrepreneur of Small Business Owner’s Education on Knowledge Acquisition" in 2010. Dr. Phillips received a George Washington University Graduate Fellowship Award, the John Hopkins University Provost’s Award for Academic Research and Excellence, and the ICR Research Grant of The Institute of Corporate Responsibility at George Washington University. Leathers, C. G. & Raines, J. P. (in press, 2014). Natural Experiments and Debt-Driven Financial Crises: The Mortgage Debt Boom of the 1920s and 2000s. International Journal of Social Economics. Leathers, C. G. & Raines, J. Patrick (2014). Veblen's Evolutionary Economics of Religion and the Evolutionary Psychology of Religion. International Journal of Social Economics. Leathers, C. G. & Raines, J. P. (2013). Friedman, Schumpeter, and Greenspan's financial policies: Spurious claims of intellectual links. International Journal of Social Economics, 40 (5), 504-520, doi: 10.1108/03068291311315368. Leathers, C. G. & Raines, J. P. (2012). Intuitive Psychology, Natural Experiments, and the Greenspan-Bernanke Conceptual Framework for Responding to Financial Crises. International Journal of Social Economics, 39 (4), 281-295. Raines, J.P. & Leathers, C.G. (2008) Debt, Innovations and Deflation: The Theories of Veblen, Fisher, Schumpeter and Minsky, Edward Elgar Publishing. Raines, J.P. & Leathers, C.G. (2003) The Economic Institutions of Higher Education: Economic Theories of University Behavior, Edward Elgar Publishing. Raines, J.P. & Leathers, C.G. (2000) Economists and the Stock Market: Speculative Theories of Stock Market Fluctuations, Elgar Publishing, Ltd.
Dr. J. Patrick Raines is both a Professor of Economics and the Dean of the Jack C. Massey College of Business at Belmont University. He earned his B.A. in Economics, M.A. in Economics, and Ph.D. in Economics all from the University of Alabama, where he also played center on football teams coached by Paul ”Bear” Bryant. In addition to his administrative responsibilities, he has taught comparative economic systems, money and banking and international business classes in The Jack C. Massey Graduate School of Business at Belmont University.In 1990, Dr. Raines was appointed as a Fulbright Scholar to the College of the Bahamas. His international experience also includes his leadership of one of the first industrial development groups to the former Soviet republics to establish educational and industrial relationships with emerging market enterprises. At the University of Richmond, he was instrumental in developing the curriculum and study abroad programs for the International Business program.Dr. Raines has published more than twenty articles in prestigious academic journals in his field of economics. His research interests include economic models of institutions of higher education, debt and deflation in the U.S. economy, and behavioral finance. His third book was released by Elgar Publishing Ltd. in 2008. Since assuming the dean’s position at Belmont University, new undergraduate degree programs have been added in entrepreneurship, economics and international business. The MBA program was selected by the 2006 Nashville Business Journal Reader’s Poll as the BEST MBA program in Nashville. The Massey School has been listed in the Princeton Review in 2005-2012. Under his leadership funds were secured to establish two endowed chairs and to build and endow the first university-based financial information center (“Trading Room”) in the State of Tennessee.Dr. 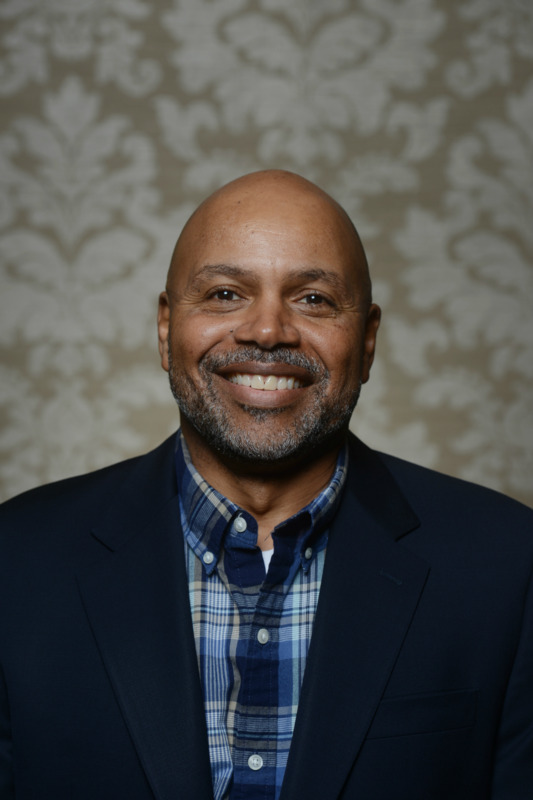 Raines is a member of the Board of Directors for the Nashville Junior Achievement program, chair of the Board of Directors for Centennial Medical Center, and serves on the Advisory Board of the Vanderbilt Institute for Global Health and the Middle Tennessee Research Institute. His dedication to teaching resulted in his receipt of the University of Richmond Distinguished Educator Award. In 2001, he was nominated by the Council of Higher Education in the Commonwealth of Virginia for the Outstanding Faculty Award. He was also presented the E. Claiborne Robins School of Business Award for Scholarly Activities. He received a Nashville Chamber of Commerce Outstanding Volunteer of the Year award for his economic impact study of the music industry in Middle Tennessee, released in January of 2006. Cheryl Read is the President of Read & Associates, a consulting firm that specializes in Brand Management, Communications and Relationship Management. Previously, Cheryl served as Vice President of HCA where she was responsible for a staff of 50 marketing and public relations professionals. She provided strategic marketing and public relations support to 30+ facilities as well as successfully developed and implemented the first division brand for HCA - TriStar Health. 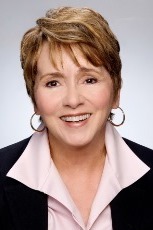 As Director of Marketing and Public Relations for Centennial Hospital, Cheryl developed and recruited division's first sales team; developed and implemented the first physician television program in middle Tennessee, entitled HealthBreak, successfully consolidated and re-branded three facilities to create Centennial Medical Center, provided oversight and strategic direction for branding of The Sarah Cannon Cancer Center, Minnie Pearl Cancer Foundation and the Sarah Canon Research Institute (SCRI). General Manager, David E. Estes Engineering, Inc.
Assistant Controller, The Hennegan Company. Harding, L. & Schenkel, M. T. (2017). Brand Advertising in an Access–Ownership World: How Marketing Channels Impact Message Persuasiveness. Journal of Marketing Channels, 24(1-2): 1-20. Schenkel, M. T., Yoo, S. S., & Kim, J. (2016). Not All Created Equal: Examining the Impact of Birth Order and Role Identity among Descendant CEO Sons on Family Firm Performance. Family Business Review, 29(4): 380-400. Schenkel, M. T., D'Souza, R. R., Cornwall, J. R., & Matthews, C. H. (2015). Early Influences and Entrepreneurial Intent: Examining the Roles of Education, Experience, and Advice Networks. Journal of Small Business Strategy, 25(2): 1-20. Brazeal, D. V., Schenkel, M. T., & Kumar, S. (2014). Beyond the Organizational Bounds in CE Research: Exploring Personal and Relational Factors in a Flat Organizational Structure. Journal of Applied Management and Entrepreneurship, 19 (2), 78-106. Klyver, K., Schenkel, M. T., Nielsen, M. S., & Schott, T. (2014). How Instrumental and Emotional Support From Family Differs Between Vocational Decisions to Become Self-Employed or Employed. Journal of Business & Entrepreneurship, 25 (2), 53-74. Yoo, S. S., Schenkel, M. T., & Kim, J. (2014). Examining the Impact of Inherited Succession Identity on Family Firm Performance. Journal of Small Business Management, 52 (2), 246-265. Dr. Mark Schenkel earned a B.A. in Psychology from the University of Cincinnati, an M.B.A. from Northern Kentucky University, and a Ph.D. in Strategy and Entrepreneurship from the University of Cincinnati. While pursuing his doctoral studies at the University of Cincinnati, he served as the Assistant Director of the Center for Entrepreneurship Education and Research. In that capacity, he fostered and mentored the entrepreneurial efforts of local businesses in their continued development as a coordinator for the Small Business Institute® program. General management roles in small closely held family firms, including The Habegger Corporation, David E. Estes Engineering, Inc., The Hennegan Company, and Wright Brothers Inc., furthered his entrepreneurial experience. In those positions, he was charged with developing and implementing strategies for achieving business growth and profitability objectives. He has continued to foster entrepreneurship through direct consulting and advising efforts, as well as through service on the Boards of local ventures in the Nashville area. 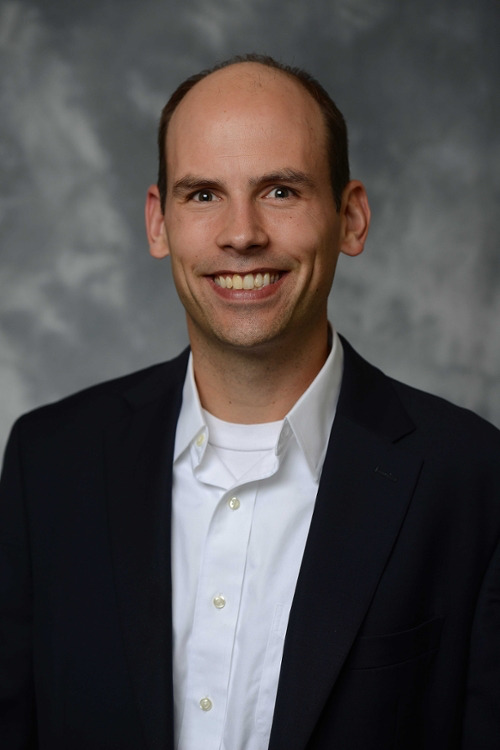 Dr. Schenkel’s research and teaching interests focus on the role entrepreneurial cognition (e.g., opportunity recognition and assessment) and strategic decision-making play in new venture creation, and corporate venturing activities. His scholarly work has been published (or is forthcoming) in professional journals including the Academy of Management Review, Entrepreneurship Theory & Practice, British Journal of Management, Journal of Small Business Management, New England Journal of Entrepreneurship, Entrepreneurship & Regional Development, Journal of Small Business Strategy, Southern Journal of Entrepreneurship, Management Research News, and Frontiers of Entrepreneurship Research. He enjoys providing guidance to students interested in starting entrepreneurial ventures in class and out. Dr. Schenkel serves as a co-founding faculty advisor to the on-campus student volunteers for the Belmont Chapter of Big Brothers Big Sisters. Providing service to his profession, Schenkel has served as the Assistant Vice President (Publications) since 2009 and was recently elected to serve as Senior Vice President (Operations and Planning) for USASBE (2011-2012) In addition, he was selected to receive an Outstanding Reviewer citation from USASBE in 2008. Dr. Schenkel also received an Outstanding Case award from USASBE (2007) and the Best Teaching Case award from the International Small Business Journal in 2008, 2009, and 2010. Schenkel currently serves on the editorial review boards of the Journal of Business & Entrepreneurship and the Journal of Ethics and Entrepreneurship. Cochran, H, Velikova, M, Childs, B., & Simmons, L. L, S. (2015). Apps for Economics. The Journal of Economic Education 46, 2, 231-232. (Acceptance level: 9% per Cabell’s 2015). Conlon, S. Abrahams, A., Simmons, L. L, (2015). Terrorism Information Extraction from Online Reports. Journal of Computer Information Systems 55, 3, 20-28. (Acceptance level: 10-15% per Cabell’s 2012). Simmons, L. L. & Conlon, S. C. (2013). Extraction of financial information from online business reports. The DATA BASE for Advances in Information Systems, 44, 3, 34-48. (Acceptance level: 15% per Cabell’s 2013). Simmons, L. L., Simmons, C. B., Hayek, M., Parks, R., Mbarika, V.W. (2012). A cultural comparison of eLearning artifacts. Decision Sciences Journal of Innovative Education 10, 4, 547-574. (Acceptance level: 20% per Cabell’s 2012). Dr. Lakisha Simmons is an expert in business intelligence and analytics. She’s the founder of Homework Suite App for students, 6 Sigma Black Belt (Caterpillar, Inc), and Associate Professor of Information Systems at Belmont University with over 40 peer reviewed scholarly works. Her passion lies in equipping and empowering girls to overcome obstacles and achieve academic success. She spends a great deal of her time mentoring, training and speaking to young women about tech careers, life and academic success strategies. Dr. Kisha earned her undergraduate degree in Management Information Systems from Tennessee State University and an MBA in Technology Management from the University of Phoenix. She also holds a Ph.D. in Management Information Systems with a minor in Marketing from the University of Mississippi. Immediately prior to joining the Belmont University faculty, she taught Business Systems Analysis, Introduction to Management Information Systems, Business Information Tools, and Principles of Marketing at Indiana State University. 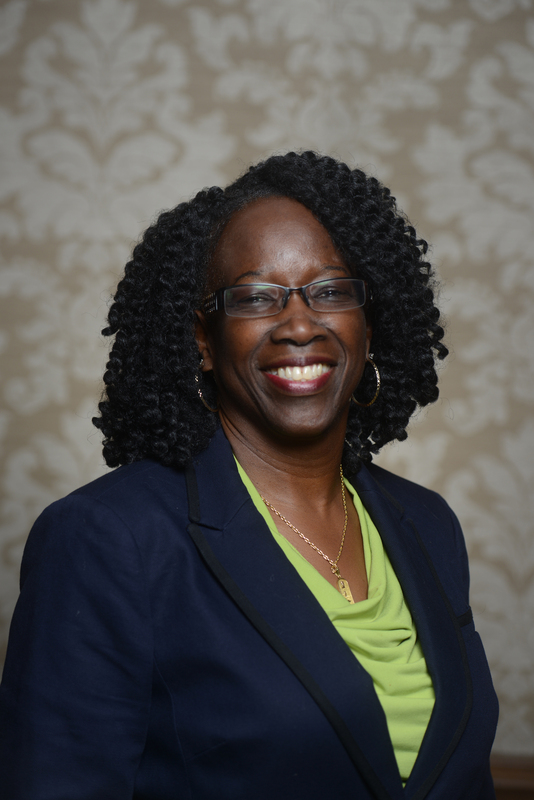 Prior to receiving her doctorate, Dr. Simmons held several positions with Caterpillar Financial Services, including 6 Sigma Black Belt, Programmer Analyst and IT Business Analyst. Her research interests include how technology can improve education, life, and business decisions. She uses mixed methods including information extraction from the Web. Her work has been published in the DATA BASE for Advances in Information Systems, Decision Sciences Journal of Innovative Education, Journal of Computer Information Systems, Journal of STEM Education: Innovations and Research, MIS Quarterly Executive, and The Journal of Economic Education. Dr. Simmons earned fellowships from the University of Mississippi Graduate School and the International Center for Information Technology and Development (ICITD). She is a member of the Honor Society of Phi Kappa Phi and Beta Gamma Sigma International Honor Society. Dr. Kara Smith earned her Ph.D. in Economics at the University of Tennessee, Knoxville, where she taught a variety of classes and worked as a research assistant in the Center for Business and Economic Research. She received her undergraduate degree from Carson-Newman College, where she was a Presidential Honor Scholar and recipient of the Algernon Sydney Sullivan award. Dr. Smith teaches microeconomics in Belmont's Jack C. Massey College of Business, which she first joined in 2010 as an Adjunct Instructor of Economics. Prior to earning her Ph.D., Dr. Smith worked as an Administrative Budget Analyst in the State of Tennessee's Department of Finance and Administration where she assisted with the annual preparation of the state budget. As a result of that experience, her research focuses on public finance economics, with a particular interest in the economics of state lotteries, state and local taxes, and publicly-funded programs for the poor. Cannonier, C., Faulk, G. K., & Smolira, J. C. (2014). The Impact of the Maturity and Source of the Risk-free Rate in Equity Estimation under the CAPM. Journal of Law and Financial Management, 13 (1), 30-37. Smolira, J. C. & Travis, D. H. (2013). A Note on Long Real Interest Rates and the Real Term Structure. Financial Decisions. Smolira, J. C. & Travis, D. H. (2011). Applying Options in the Classroom: Selling Calls and Puts on Grades. Journal of Financial Education. Dr. Joe Smolira has taught at Belmont University since 1999. He received his B.B.A. from Wheeling Jesuit University, M.B.A. from Marshall University and Ph. D. in Finance from the University of Kentucky. His professional education also includes achieving certification from the Global Association of Risk Professionals (GARP). 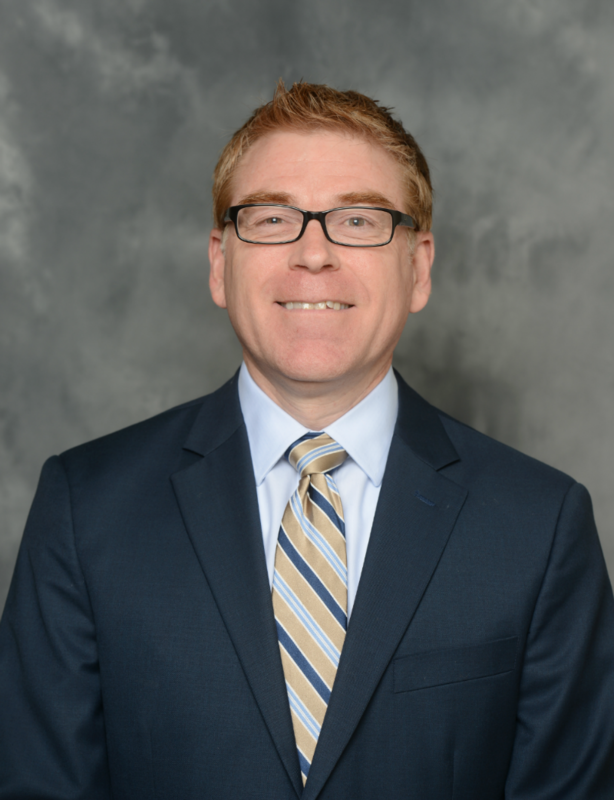 His research interests include financial planning, mutual funds, and pedagogy and has appeared in Advances in Financial Planning and Forecasting, Mid-American, Business Journal, The Journal of Investment Consulting, and The Journal of Financial Education. Dr. Smolira has served on the Board of Directors for the CFA Society of Nashville and as a securities arbitrator for the Financial Industry Regulatory Authority. He is a member of The CFA Society of Nashville, GARP, the Financial Management Association, the Southern Finance Association, and other professional organizations. During his tenure with Sony Music from 1975 to 1991, Mr. Stessel was the executive responsible for the marketing strategies for Michael Jackson (including Thriller, the biggest selling album of all time), Babyface, Gloria Estefan, Celine Dion, Pearl Jam, Stevie Ray Vaughan, Luther Vandross and numerous other music superstars. In addition, he produced and directed the highly rated CBS Television special Michael Jackson: The Magic Returns and received the Cable Ace award for Best Longform Music Special for executive producing SHOWTIME's Gloria Estefan Homecoming Special. From 1992-1996, Stessel served as General Manager and Senior VP of Mercury Records and EMI Records directing the activities of the marketing, sales, promotion, media relations, creative services, artist development, touring and video production departments. In 1997, Mr. Stessel formed Trillium Entertainment, an independent music company emphasizing strategic marketing campaigns, business plans, event marketing and corporate sponsorship opportunities for recording artists, start-up entertainment ventures, independent music and Internet labels. In 2003, he created Revolver Marketing Group ,with a long time business associate, creating an industry leader in brand marketing using music as a marketing driver. Some of RMG’s clients include McDonalds’s, Johnson & Johnson, Kraft Foods, General Motors, Hertz, UBS, Kohler and Hanes. Mr. Stessel is a member of Leadership Music Nashville and an executive board member of the Tennessee Performing Arts Center (TPAC). Dr. Sarita Stewart is an Assistant Professor of Entertainment Industry Studies in the Mike Curb College of Entertainment and Music Business. Her journey to becoming a college professor was circuitous at best. Sarita, a native of Oregon City, Oregon, grew up dreaming of a career in the music business. Soon after her graduation from Oregon State University armed with a degree in Business Administration, she headed to Los Angeles. She soon met legendary record company executive Mike Curb, and became a receptionist at his company. Sarita learned the business from the ground up, working with such top musical artists as Tim McGraw, LeAnn Rimes, Wynonna Judd, JoDee Messina and many other artists over the course of her 14-year employ at Curb Records. She also earned a Masters of Business Administration at Claremont Graduate University during her time in Los Angeles. One of the highlights from that time was the opportunity to take a class from management theorist Peter F. Drucker. Following her graduation, Sarita transferred to the Curb Records Nashville headquarters, having received a promotion to Director of Marketing for the label. She eventually left to become the U.S. Marketing Director for the Vienna-based microphone and headphone manufacturer, AKG Acoustics in 2000. Dr. Stewart began teaching part-time as a Belmont adjunct in 2005, prior to becoming a full-time instructor in the Entertainment Industry Studies program in 2007. She went on sabbatical leave in 2009 to undertake a Ph.D. in Communication at The University of Alabama. While at Alabama, Sarita received UA’s Graduate Council Fellowship award, which allowed to her study with the communication scholar, Dr. Jennings Bryant, prior to his retirement. Her 2013 dissertation, Artist-Fan Engagement Model: Implications for Music Consumption and The Music Industry, was overseen by her Graduate Studies Dean, Dr. Shuhua Zhou. As an entertainment researcher, Dr. Stewart continues to focus upon varied research interests, including music consumption, video games, artist fandom, and mood management. She has several published book chapters, including an essay on LeAnn Rimes’ album Blue in Please Allow Me To Introduce Myself: Essays on Debut Albums(Ashgate). Her most recent book chapter, “TV, Radio, and Music Research,” written in collaboration with Dr. Louisa Ha of Bowling Green University and Jeff Green of Stone Door Media Lab, was published in Research Methods in Communication (Third Edition) (Vision Press). She has also served as a participant at various academic and industry panels. Most importantly, Dr. Stewart loves working with her undergraduate and graduate students. Her teaching expertise is in the areas of public relations, music marketing, and consumer research. It is very important to her to pass along her passion for, and love of, the entertainment business. It is indeed an honor to help educate the next generation of entertainment and music industry artists and executives. Cochran, Jr., H. H., Velikova, M. V., & Childs, B. D. (2013). How Course Management Technology Can Facilitate a Multimodal Pedagogy to Enhance Learning. Journal of Learning in Higher Education. Arano, K. & Velikova, M. V. (2012). Transportation Corridors and Cointegration of Residential Natural Gas Prices. International Journal of Energy Sector Management. Childs, B. D., Cochran, Jr., H. H., & Velikova, M. V. (2012). Factors Contributing to Better Fiscal Conditions among States. Atlantic Economic Journal, 40 (4(2012)). 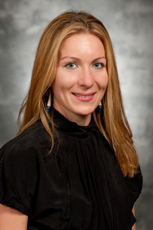 Dr. Velikova received her undergraduate degree from the People's Friendship University of Russia. Her M.A. in Financial Economics and Ph.D. in Applied Economics were both earned at Mississippi State University, where she worked as a research assistant, academic tutor, and instructor of economics. She teaches economics and international business courses in Belmont University’s Jack C. Massey College of Business, where she also advises members of SIFE, Students in Free Enterprise, and has been involved in the creation of the IB Society, an organization for students interested in international studies. Her research interests include macroeconomics and monetary economics; however, her primary area of specialization is the effectiveness of deposit insurance coverage in the international banking system, including U.S. banks. An article she authored, entitled "Real Deposit Insurance Coverage at U.S. Banks," has been accepted for publication in the Journal of Business and Leadership: Research, Practice, and Teaching. Churchman, R., York, S., Woodard, B., Wainright, C. F., & RauFoster, M. (2013). Revisiting Perceptions of Quality of Hospice Care: Managing for the Ultimate Referral. American Journal of Hospice and Palliative Medicine, 1-6. York, G. S., Schenkel, M., & Wainright, C. (2013). Hospice Practices, Perceived Satisfaction, and Entrepreneurial Opportunities: Strategic Insights across Geographic Settings. Journal of Applied Management and Entrepreneurship, 18 (1), 51-75. Wainright, C., York, S., & Woodard, B. (2012). A Transformative Framework for Improving Healthcare Management Education. Journal of Health Administration Education, 29 (1), 1-32. York, S., Churchman, R., Woodard, B., Wainright, C., & Rau-Foster, M. (2012). Free-Text Comments: Understanding the Value in Family Member Descritpions of Hospice Caregiver Relationships. American Journal of Hospice and Palliative Medicine, 29 (2), 98-105. Dr. Charles F. Wainright begins teaching at Belmont University in the Fall of 2008. He obtained his B.S. from the University of Alabama, M.H.A. from Baylor University, and Ph.D. in Administration-Health Services (Strategic Management) from the University of Alabama. He has expanded on his education by earning the Certified Healthcare Executive (CHE) designation and becoming a Fellow of the American College of Healthcare Executives (FACHE). Before entering the teaching field, Dr. Wainright obtained health services work experiences of increasing responsibility within the U.S. Army Medical Department. He was a consultant in Heidelberg, Germany, a Program Administrator/Executive Operations Officer and Executive Director in San Antonio, Texas. Dr. Wainright has taught a variety of healthcare management courses at the graduate level at Baylor University and Western Kentucky University. He also taught advanced skills seminars for the U.S. Army. His research agenda includes Human Resource Management for Healthcare Managers, Strategic Leadership and Management for Healthcare Executives, Bioterrorism & Healthcare Preparedness, Executive Skills and Educational Leadership, Physician Practice Pattern Variation, and Health Policy Reform Issues. His work has been published in the Journal of Rural Health, American Journal of Infection Control, Journal of the American Association of Medical Administrators, and others. A member of the American College of Healthcare Executives, Academy of Management, and American Academy of Medical Administrators, Dr. Wainright has served his profession as a member of the Editorial Advisory Board for the Certified Professional Utilization Management and Review Manuals. He also serves his community as a certified youth basketball coach and held various offices in his homeowners association. Dr. Wainright has also achieved first and second place awards in poster competitions conducted by the Association of University Programs in Health Administration. He also received an Excellence in Teaching Award, Graduate Studies, while at Western Kentucky University. Financial Analyst, Planning and Control Analyst, Corporate Controller, International Operational Aud, Fleetguard, Inc.
Warren, D. L. & Young, M. (2011). Developing and Assessing Critical Thinking Exercises for an Introductory Accounting Course. Issues in Accounting Education, 26 (4), 859-881. Warren, D. L. & Young, M. (2011). Integrated Accounting Principles: A Best Practices Course for Introductory Accounting. Issues in Accounting Education, 27 (1), 247-266. 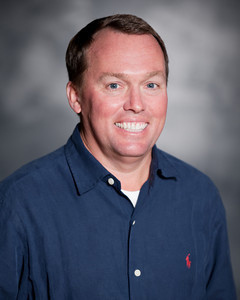 Dr. Lee Warren, Associate Professor of Accounting, teaches undergraduate and graduate accounting courses in the Jack C. Massey College of Business at Belmont University. After receiving her B.A. from Randolph-Macon Woman's College and her M.B.A from Vanderbilt's Owen Graduate School of Management, Dr. Warren held several domestic and international positions at Cummins Engine Company. She then entered the financial services industry, serving as CFO and consultant for BMR Financial Group in Atlanta, Georgia. She earned her Ph.D. at the University of Georgia and taught at Boston College before coming to Belmont University in 1998. She served as Associate Dean of the Jack C. Massey College of Business from 2002 through 2004 and has chaired various university and college committees during her years at Belmont University. She is active in AACSB International and the American Accounting Association. Dr. Warren received the Bea Sanders AICPA Award from the American Institute of Certified Public Accountants for the Most Innovative Accounting Course in the Introductory Sequence - Honorable Mention in 2007. 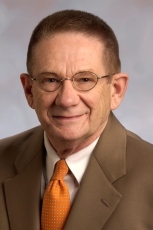 Jan R. Williams is Dean and Professor Emeritus of the Haslam College of Business at the University of Tennessee (UT) Knoxville where he held a number of positions from 1977 through 2013. He received a B.S. degree from George Peabody College, an M.B.A. from Baylor University, and a Ph.D. from the University of Arkansas. 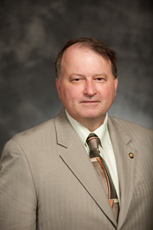 Prior to serving on the faculty at UT, he served on the faculties of the University of Georgia and Texas Tech University. Currently, he is the co-author of three books and has published over 100 articles, monographs, proceedings, and other publications on issues of corporate financial reporting and accounting and business education. Dr. Williams has been involved in a wide range of professional accounting and business organizations. He served as Vice-President/Education and later as President of the American Accounting Association, National President of Beta Alpha Psi, Vice-President of the Tennessee Society of CPAs, and has been actively involved in several capacities with the American Institute of CPAs. 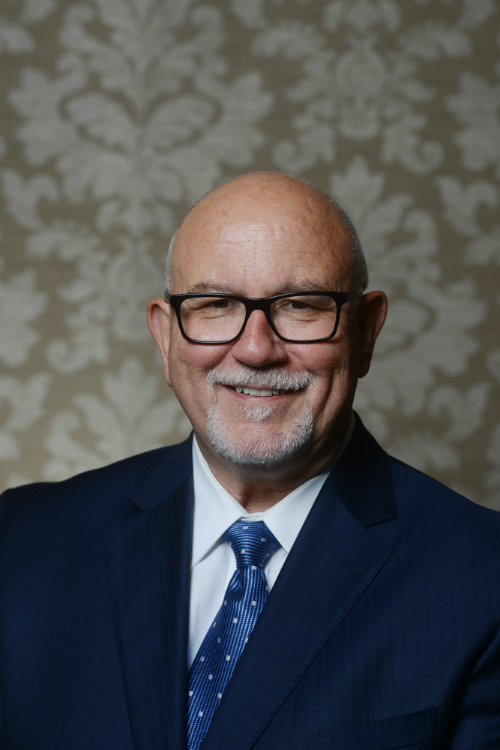 He is Past Chair of the Board of Directors of the Association to Advance Collegiate Schools of Business (AACSB) International and continues his involvement with that organization through service on accreditation review teams and other committee assignment. His recent professional activities include membership on the Pathways Commission and serving as co-chair of one of its implementation task forces. Sales and Office Automation Specialist, Wang Laboratories, Inc.
Czuchry, A., Czuchry, A. Jr., Williams, S.G. (2010) A Conceptual Framework for Capturing the Time Dimension of Readiness in Shaping Consumer Behavior, Proceedings, Association for Global Business. Williams, S.G. 2009-present, Management Matters regular column in The Source magazine, published quarterly by HealthTrust University. Williams, S. G. & Davis, J. (2007). Strengths-based Management for Continuing Education. University Continuing Education Association. Dr. Susan Williams is Professor Emerita of Management in The Jack C. Massey Graduate School of Business. Her teaching interests include negotiation, business narrative, continuous improvement, and strategic thinking. Dr. Williams came to Belmont in 1989 and has served the university in several capacities, most recently as Vice President for Administration and Planning before returning to the classroom full-time. After receiving her Ph.D. from the University of Georgia, Susan taught in the University of Georgia system and at East Tennessee State University. She was a business owner and entrepreneur in Nashville for several years before she came to Belmont. She completed a three-year appointment as a judge for the Malcolm Baldrige National Quality Award, a Secretary of Commerce appointment. Active in national organizations, Dr. Williams is a member of Beta Gamma Sigma and Phi Eta Sigma professional honor societies. She served on the ETSU Foundation Board of Directors, the International Storytelling Center Board of Governors, and volunteers her time for a variety of non-profit organizations. She is a Tennessee Rule 31 listed mediator. Williams has served the Tennessee Center for Performance Excellence in various capacities since its inception in 1993, including service on the Panel of Judges. Dr. Williams was the 2009 recipient of the Ned R. McWherter State Leadership Award presented by the Tennessee Center for Performance Excellence. In her teaching tenure at Belmont University, Williams was named Most Inspirational Professor by 15 Massey Graduate School of Business graduating classes. Wilson, Rachel C. (2015). Mayhem: A Hands-On Case Playing Activity for Teaching Porter’s Five Forces to Undergraduate Business Students. Small Business Institute Journal, 11(2). Wilson, Rachel C. (2012). Around the Way Dog. Journal of Leadership, Accountability, and Ethics, 9(5). Wilson, Rachel C. (2010). Management Perspectives of High-Technology Strategic Alliance Outcomes. Journal of Strategy and Management, 3(1), 4-19. 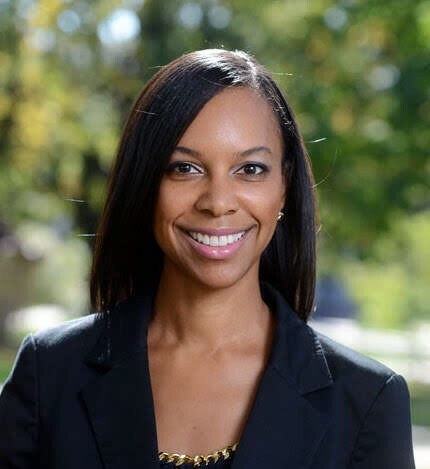 Dr. Rachel Wilson serves The Jack C. Massey Graduate School of Business by teaching graduate and undergraduate courses in entrepreneurship and management and as the director of the Accelerated M.B.A. program. She received her Ph.D. in 2002 from the University of Alabama at Birmingham in Administration - Health Services and Strategic Management. She received her B.S. in Health Care Management in 1997 from the University of Alabama. After teaching at the University of Nebraska at Omaha as the Director of the startup Maverick Entrepreneurship Institute and then at Middle Tennessee State University, she joined the faculty at The Massey School in 2015. Dr. Wilson accompanies Belmont University AMBA students to South Africa for study abroad, and has planned and supervised graduate and undergraduate study abroad programs in the United Kingdom, Ireland, Argentina, and Bangladesh. She teaches courses in entrepreneurship, small business consulting, and strategic management, and incorporates her consulting experience and prior ownership of both Around the Way Dog, a restaurant, and Wilstar Construction, Inc. into her classroom. Her primary areas of research focus on strategic alliances used by small and medium enterprises in the pharmaceutical and biotech industries. In this research, her objective has been to determine what types of activities and beliefs enhance the value received from partners in those alliances, and what factors diminish that value. Her works have been published in Health Care Management Review, Thunderbird International Business Review, the Journal of Global Competitiveness, Advances in Health Care Management, the Journal of Applied Management and Entrepreneurship, and the Journal of Strategy and Management, among others. She has been awarded the Highly Commended Paper award by the Journal of Strategy and Management for her work on strategic alliances and the Best Paper, Teaching Track award from the Small Business Institute for her classroom innovation in industry analysis. Wilson has been married to her husband, Scott, for twelve years and is the proud mother of a daughter, Emily, and two stepsons, Brayton and Brogan. Churchman, R., York, G. S., Woodard, B., Wainright, C., & Rau-Foster, M. (2014). Revisiting Perceptions of Quality of Hospice Care: Managing for the Ultimate Referral. American Journal of Hospice and Palliative Medicine, 31 (5), 521-526. York, G. S., Churchman, R., Woodard, B., Wainright, C., & Rau-Foster, M. (2012). Free-Text Comments: Understanding the Value in Family Member Descritpions of Hospice Caregiver Relationships. American Journal of Hospice and Palliative Medicine, 29 (2), 98-105. 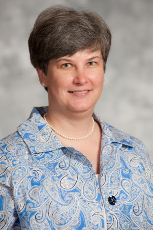 Dr. M. Elizabeth (Beth) Woodard has taught at Belmont since 1999. She has a B.S. in Management from Clemson University, a Masters in Health Services Administration from the Medical University of South Carolina, and a Ph.D. in Administration-Health Services from the University of Alabama-Birmingham. Dr. Woodard determined while working in the health care industry and taking masters-level classes that the best way for her to affect the industry she loved would be to teach others. She obtained her Ph.D. and began teaching at Belmont University in 1999. She teaches undergraduate classes in healthcare management for the Jack C. Massey College of Business, master’s courses in healthcare for The Jack C. Massey Graduate School of Business at Belmont University, and doctoral courses for the Physical Therapy program in the College of Health Sciences. 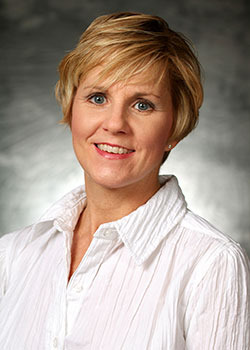 Her research interests have resulted in published articles in professional journals such as Advances in Health Care Management, Journal of Nursing Research, Omega: Journal of Death and Dying, Health Care Management Review, Journal of Applied Management and Entrepreneurship and cases in the textbook entitled Strategic Management of Health Care Organizations. Holding membership in the Association of University Programs in Health Administration, Academy of Management, American College of Healthcare Executives, Strategic Management Society and other professional organizations, she actively serves her profession as a conference paper and textbook reviewer and presents her research findings at national and international conferences. Various organizations in the Middle Tennessee area benefit from her service. Currently the Education Committee Vice-Chair for the Health Care Executive Forum of Middle Tennessee, she also serves the University of Alabama at Birmingham Alumni Association and her church. Dr. Woodard is a member of the business honor society, Sigma Beta Delta. She was honored by her selection to intern for United States Senators Ernest F. (Fritz) Hollings and Strom Thurmond. Dr. Woodard received the Best Case award at the United States Association for Small Business and Entrepreneurship conference in January of 2007. Wooten, T. C. & Dillard-Eggers, J. (2013). An Investigation of On-line Homework: Required or Not Required? Contemporary Issues in Education Research (CIER). Wooten, T. C. (2011). The Effect of Audit Tenure on Risk Assessment. Oil & Gas Tax Quarterly. Awarded a Summer Belmont Time-out for research into teaching effectiveness for accounting students., Belmont University. 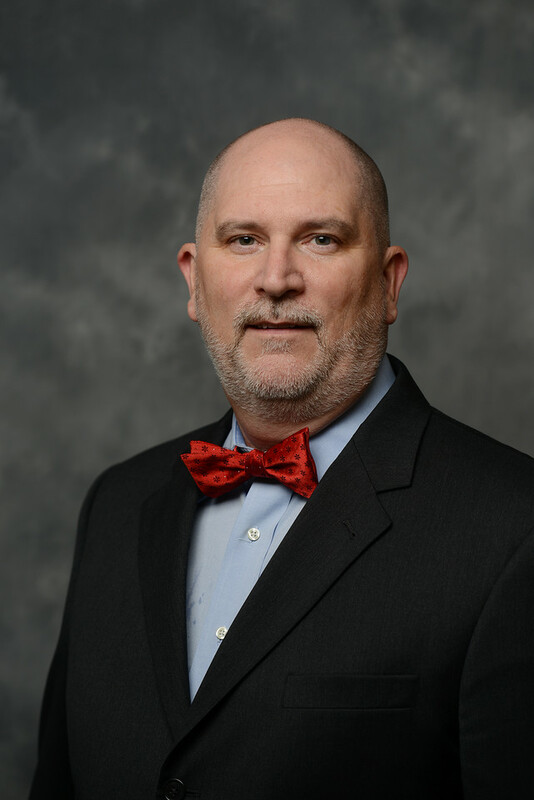 His research interest in teaching pedagogy has resulted in articles published in the College Teaching Methods & Styles Journal, Tennessee CPA, Journal of College Teaching and Learning, and Advances in Accounting Education. Articles relating to auditing have been published in the CPA Journal and papers presented at regional and national professional conferences. Dr. Wooten has served his profession as a past editor of the Nonprofit Management & Leadership journal and holds membership in the American Accounting Association, American Institute of Certified Public Accountants, Institute of Management Accountants, and other professional organizations. Dr. Wooten has earned memberships in Beta Gamma Sigma (business), Sigma Beta Delta (business) and Beta Alpha Psi (accounting) honor societies. He received the GTA Teaching Excellence Award while at Georgia State University. 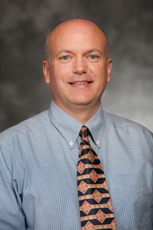 Dr. David K. Wyant joined Belmont in January of 2013 with the beginning of the Healthcare MBA program. He obtained his BA degrees from the University of Oregon, M.A in Economics and M.B.A in Finance from The Ohio State University, and Ph. D in Health Services Research Policy and Administration from the University of Minnesota. Yoo, S. S., Schenkel, M., & Kim, J. (2014). Examining the Impact of First Son versus Non-First Son Successions on Family Firm Performance. Journal of Small Business Management, 52 (2), 246-265. Schenkel, M., Yoo, S. S., & Kim, J. (2014). Not All Created Equal: Examining the Impact of Descendent CEOs on Family Firm Performance. Babson College Entrepreneurship Research Conference (BCERC). 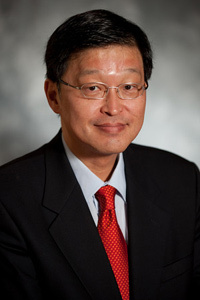 Dr. Sean Sehyun Yoo joined the Belmont University faculty in August of 2008. He earned a B.S. in Economics with Honours of First Class from the University of Buckingham (United Kingdom), a Bilingual M.B.A. from IESE, Barcelona (Spain), and a Ph.D. in Finance from Temple University in Philadelphia, Pennsylvania. Possessing international experience, he worked as Olympic Village Coordinator for the Olympic Games held in Barcelona, Spain in 1992 and was an International Assets Manager and Market Analyst for Dongsuh Securities in Seoul, Korea before pursuing his doctorate in the United States. His academic experience includes working as a graduate assistant in the Department of Finance and teaching summer classes at Temple University. He taught both undergraduate and graduate courses in finance at San Diego State University before joining the Belmont University faculty. Dr. Yoo’s research has been published in the Journal of Financial and Quantitative Analysis and the Pacific-Basin Finance Journal and presented at international conferences such as the Financial Management Association International and the Academy of International Business. His research interests include corporate governance and ownership structure and their relations to firm performance, stock trading patterns by investor type and their effects on market parameters, project finance, and family firms. He is a member of the Financial Management Association, The American Finance Association, and the Korea America Finance Association. Chief Operating Officer, FamiliesFirst, Inc.
Chief Financial Officer, FamiliesFirst, Inc.
Financial Controller, James Hardie Building Products, Inc.
York, G. S., Schenkel, M. T., & Smith, K. M. (in press, 2014). Mission, Ministry, and Margin: The Case Store Ministries and the YMCA. Journal of Business & Entrepreneurship. Churchman, R., York, G. S., Woodard, B., Wainright, C. F., & Rau-Foster, M. (2013). Revisiting Perceptions of Quality of Hospice Care Managing for the Ultimate Referral. American Journal of Hospice and Palliative Medicine. Wainright, C., York, G. S., & Woodard, B. (2012). A Transformative Framework for Improving Healthcare Management Education.Journal of Health Administration Education, 29 (1), 39-70. Wainright, C. F. & York, G. S. (2013, June). Strategic Succession Planning As A Forgotten Healthcare Imperative: Moving Beyond The Present To The Future! Annual Association of University Programs in Health Administration, Monterey, California. Wainright, C., York, G. S., & Schenkel, M. T. (2012). Hospice Practices in Quality and Innovation: Examining Patient Family Experiences. International Conference on Innovation and Entrepreneurship in Health, Oklahoma City, Oklahoma. Schenkel, M. T., York, G. S., & Smith, K. M. (2012). Mission, Ministry & Margin: The Case of Restore Ministries and the YMCA. USASBE, New Orleans, Louisiana. Wainright, C., York, G. S., & Woodard, B. (2011, June). Bridging the GAP Between Healthcare Management Education & Perceptions of Career Satisfaction. Association of University Programs in Health Administration, Charleston, South Carolina. Wainright, C., York, G. S., Woodard, B., & Churchman, R. (2010, June). A Survey Analysis of Healthcare Management Competencies, Skills, and Satisfaction of Junior Healthcare Management Executives. Association of University Programs in Health Administration, Portland, Oregon. Wainright, C., York, S., Woodard, B., & Churchman, R. (2010, March). Healthcare Management Education & Social Information Processing (SIP) Theory: A Framework for Understanding the Relationship Among the Perceptions of Junior Healthcare Executives Regarding Competencies, Job Satisfaction and Career Success. ACHE Association for Continuing Higher Education, Chicago, Illinois. Dr. York, Assistant Professor of Management and Associate Dean of the Undergraduate School of Business, obtained a B.A. in Psychology from Tennessee Temple University in Chattanooga, Tennessee. His M.S. in Organizational Psychology was earned at Auburn University (Montgomery, AL) and his Ed.D. from the University of Tennessee, Knoxville. Dr. York's professional experience includes more than 25 years in operations management and strategic management across an eclectic range of industries from manufacturing, healthcare and education. As both a chief financial officer and chief operating officer his responsibilities have included strategic planning, budget planning, facilities management and quality and compliance. His educational experience includes more than eleven years on the faculty of the Jack C. Massey College of Business at Belmont University where he now serves as Associate Dean. He maintains an active research agenda with topics of interest in operations management, supply chain management, process improvement and the linkage between satisfaction, quality and performance outcomes in healthcare. 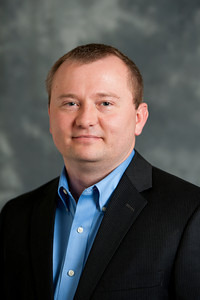 His research has been published in the Journal of Business and Entrepreneurship, Journal of Applied Management and Entrepreneurship, Journal of Health Administration Education, American Journal of Hospice and Palliative Medicine, Journal of Pain and Symptom Management and Journal of the Southeastern Association of Educational Opportunity Program Personnel. He was twice named Most Inspirational Professor in the Massey Graduate School of Business and has received the Outstanding Teaching Award, Outstanding Service Award, Outstanding Scholarly Activity Award and Dean’s Award from the Jack C. Massey College of Business. Lean Healthcare Management, 2010 (2010), Belmont University, Nashville, TN. Certificate in Human Resources, 2001 (2001), Chapman University, Orange, CA. 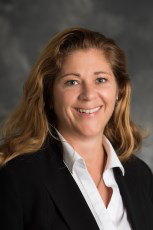 Mrs. Karen York is the MGT 6240 - Healthcare Quality Improvement course instructor for The Massey Graduate School of Business' Healthcare MBA program. 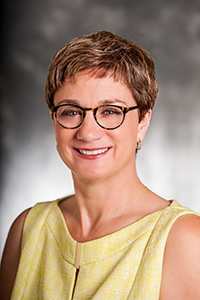 Prior to joining Belmont, Karen served in several roles from VP of Organizational Excellence to Chief Compliance Officer where she was responsible for compliance, performance improvement training, and organizational culture. She assisted primary care providers to redesign their practices to become Patient Centered Medical Homes (PCMH). Karen accessed and evaluated the organization for processes and outcomes that supported the continuous pursuit of organizational excellence. 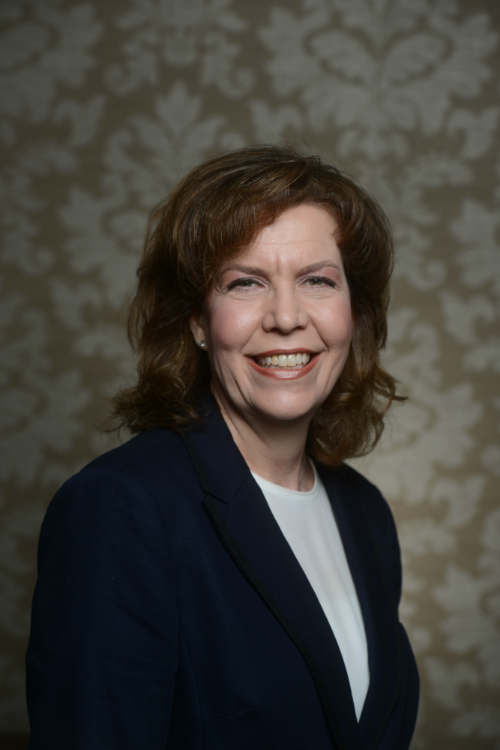 As a healthcare consultant, Karen enabled healthcare organizations to develop programs as well as systems and processes to increase value and achieve quality outcomes. With Karen's level of expertise, her experiences and insights are a valuable resource for Massey's Healthcare MBA students. Charron, K. & Young, M. (2014). Experiencing the Accounting Profession in the Russian Federation. Strategic Finance (feature section), 95 (12), 49-55. Warren, L. & Young, M. (2012). Integrated Accounting Principles: A Best Practices Course for Introductory Accounting. Issues in Accounting Education, 27 (1), 247-266. Young, M. & Warren, L. (2011). Encouraging the Development of Critical Thinking Skills in the Introductory Accounting Courses Using the Challenge Problem Approach. Issues in Accounting Education, 26 (4), 859-881. Most Inspirational Professor Award, August 2009, Massey Graduate School, Belmont University. Most Inspirational Professor Award, August 2007, Massey Graduate School, Belmont University. Most Inspirational Professor Award, December 2005, Massey Graduate School, Belmont University. Most Inspirational Professor Award, May 2005, Massey Graduate School, Belmont University. Dr. Marilyn Young began teaching at Belmont University in 2001. She has a Bachelor of Science in Accounting and Master of Tax Accounting from the University of Alabama, and a Ph.D. in Accounting from the University of Mississippi. A Certified Public Accountant (CPA), her industry experience includes work as a Tax Accountant for Deloitte & Touche, and Frasier, Dean, and Howard and as a Tax Specialist in Corporate Finance at Empire Berol Corporation. Before coming to Belmont University, she taught at Lipscomb University. Her teaching experience at Belmont includes both undergraduate and graduate classes in taxation and corporate accounting. Dr. Young also helps non-accounting students prepare to enter the Master in Accountancy program by teaching in the Summer Accounting Institute. She has presented her research at various regional and national conferences. Articles she has written have been published in professional journals including the International Journal of Hospitality and Tourism Administration, Tennessee CPA, Economics and Politics, and Journal of S Corporation Taxation. Dr. Young holds membership in the American Institute of Certified Public Accountants, Tennessee Society of Certified Public Accountants, American Accounting Association, and American Taxation Association. 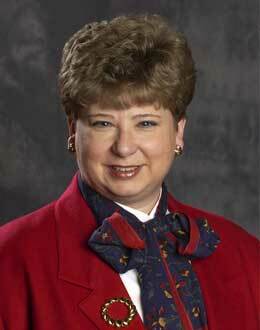 McGraw-Hill/Irwin sought her expertise as a textbook reviewer for a new textbook entitled Taxation for Individuals. She has overseen Belmont students working in the IRS-sponsored VITA program to assist low income and elderly residents of Middle Tennessee prepare their income tax returns and she presented basic financial accounting concepts to entrepreneurs participating in The Growth Challenge Program. The American Institute of Certified Public Accountants awarded her honorable mention in the Bea Sanders/AICPA Innovation in Teaching Award. She received an Outstanding Teaching Award from Lipscomb University and Outstanding Teaching Award from the Jack C. Massey College of Business at Belmont University. Named multiple times as the Most Inspirational Professor of The Jack C. Massey Graduate School of Business and the Faculty Member of the Year by the Beta Alpha Psi chapter in the Jack C. Massey College of Business, Dr. Young was presented with Belmont’s highest faculty honor, The Chaney Distinguished Professor Award, in 2005.